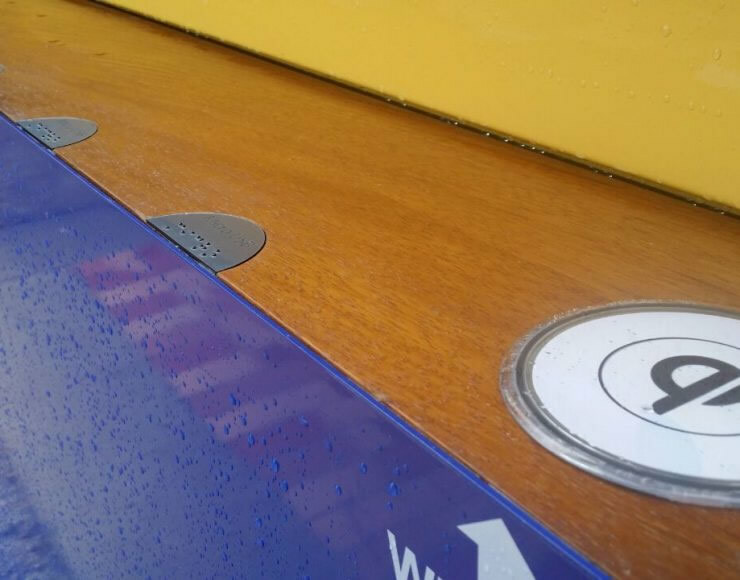 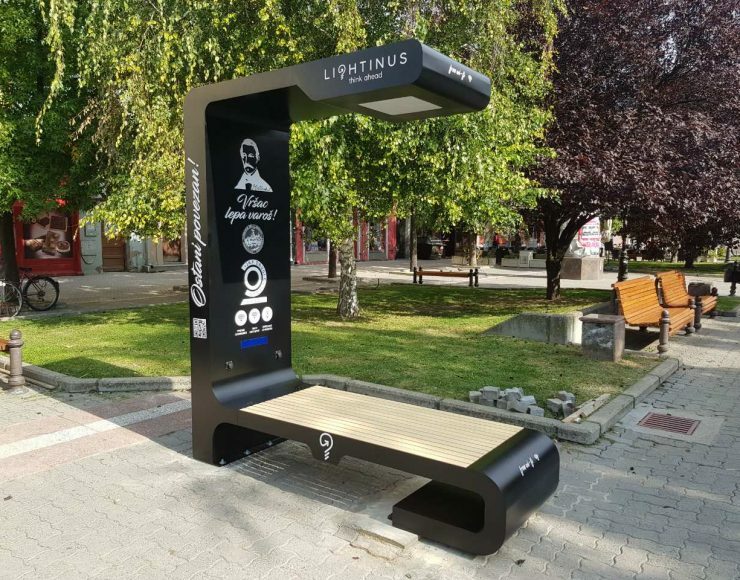 We have successfully completed local and international projects with installations of our LIGHTINUS solar street light, smart solar bench and solar charging stations. 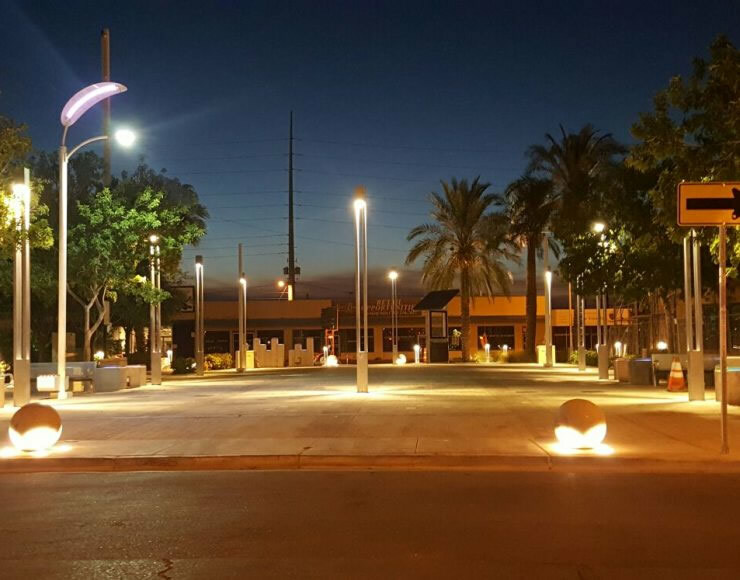 From promotional campaigns in USA by large companies such as AT&T and Alliant Energy which used our Compact Station, to street light installations in Las Vegas, Europe, Middle East and Philadelphia, we are always striving to be a reliable partner for our clients before, during and after each project. 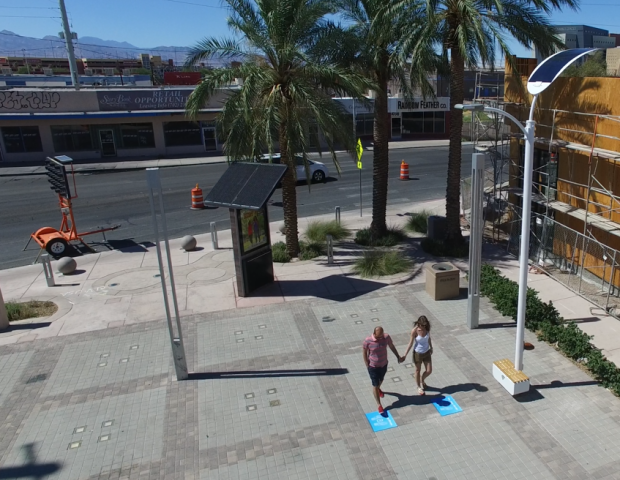 Our goal is to improve urban infrastructures and promote green energy values through the integration of clean energy and smart technology applications. 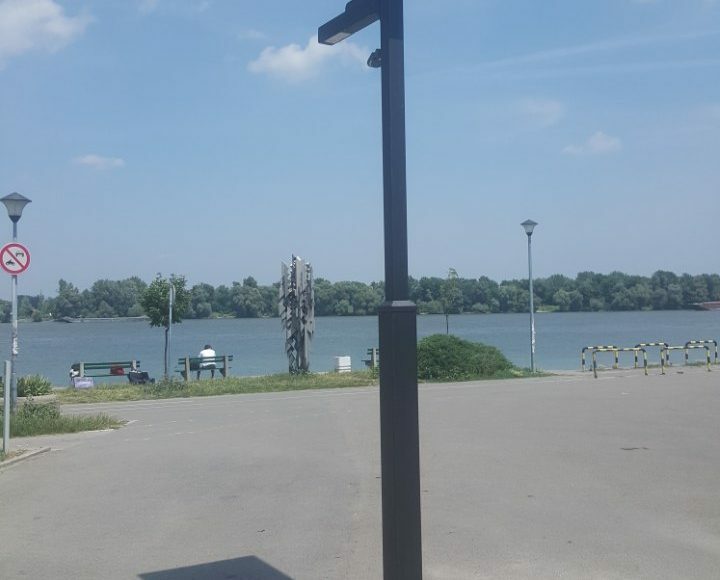 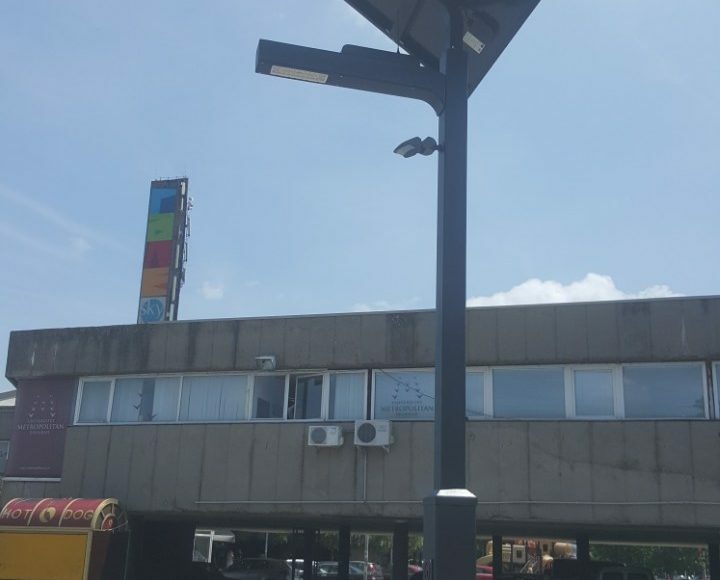 We introduced the first smart solar street light in the region with a successful pilot project with the Municipality of Stari Grad in Belgrade. 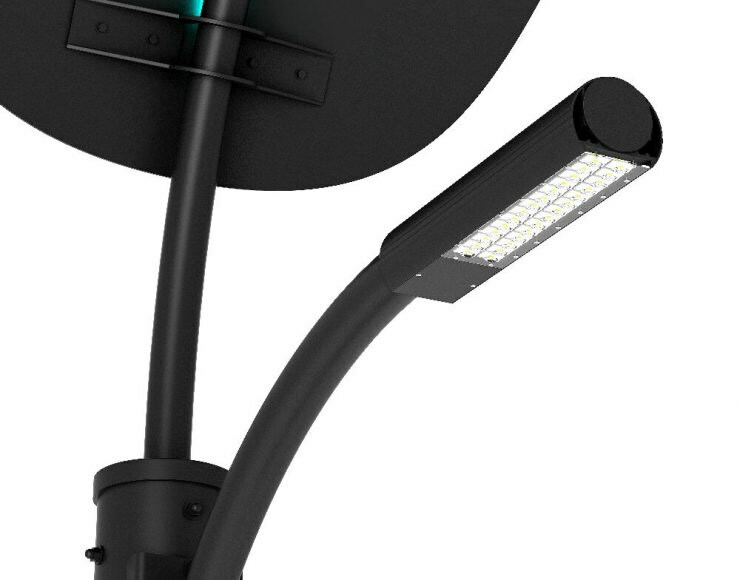 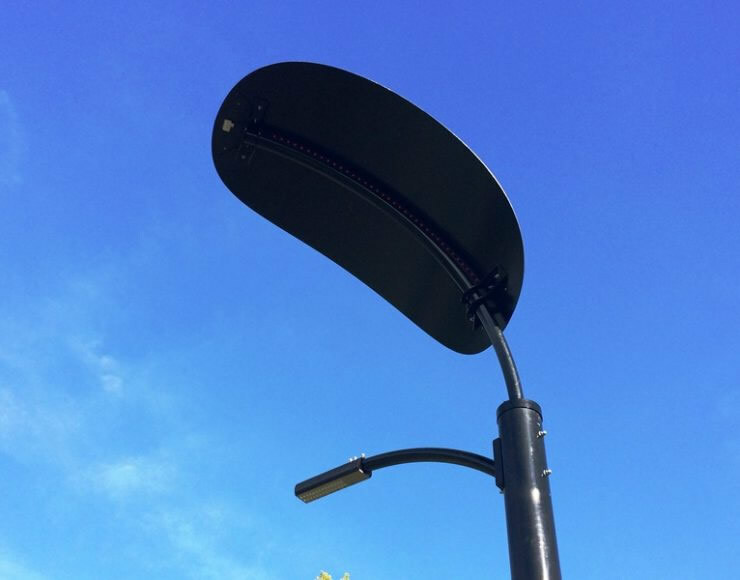 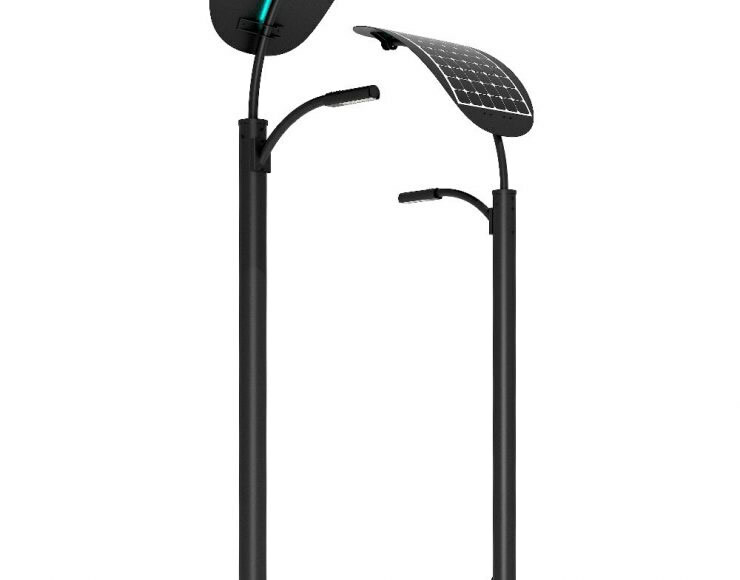 Powered by the sunlight and managed remotely by cloud-based software, our Lightinus smart street light will provide clean energy illumination for pedestrians and children playgrounds near the Sports Hall Centre at the 25th of May recreational venue. 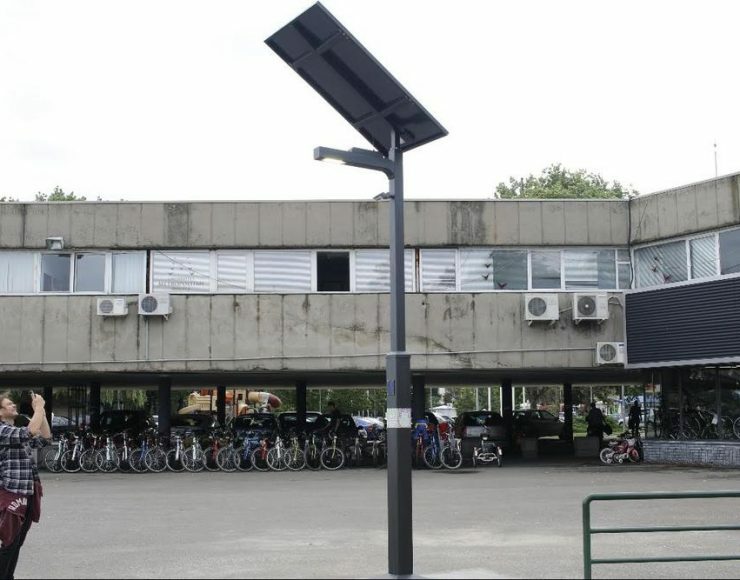 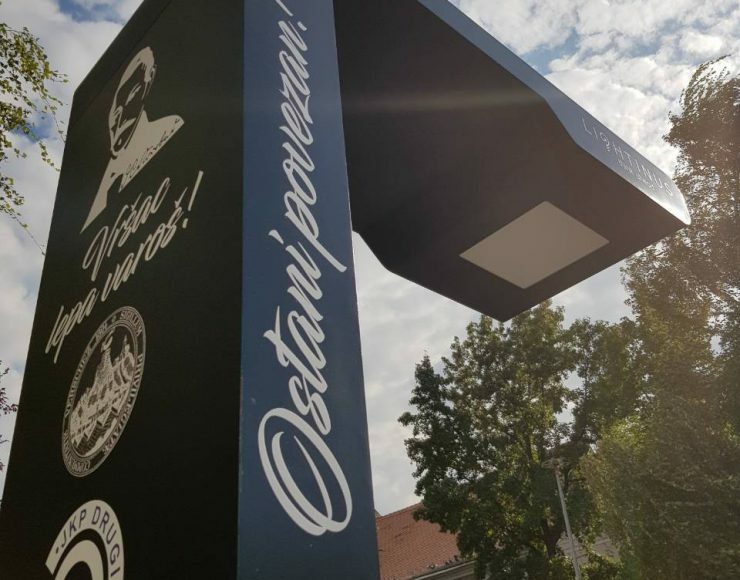 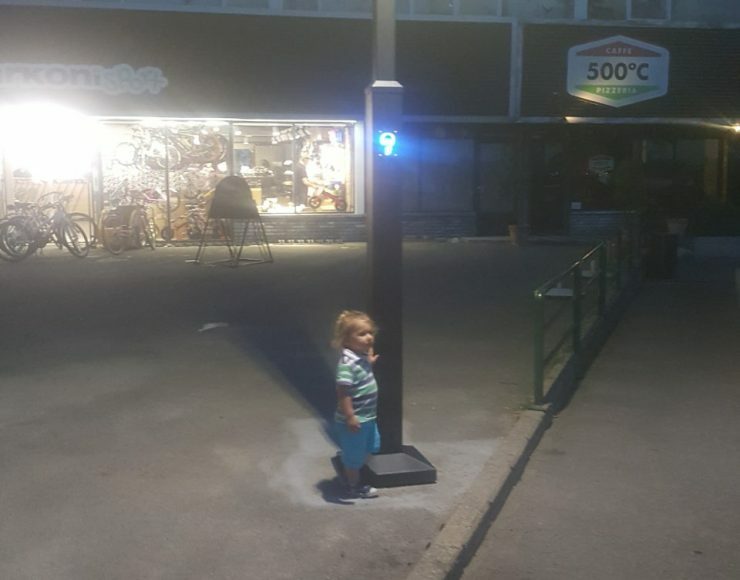 Zero electricity cost, energy savings, 365 days of reliable public lighting and decrease in CO2 emissions are among the many benefits that the Lightinus smart solar street light will provide to the Municipality of Stari Grad. 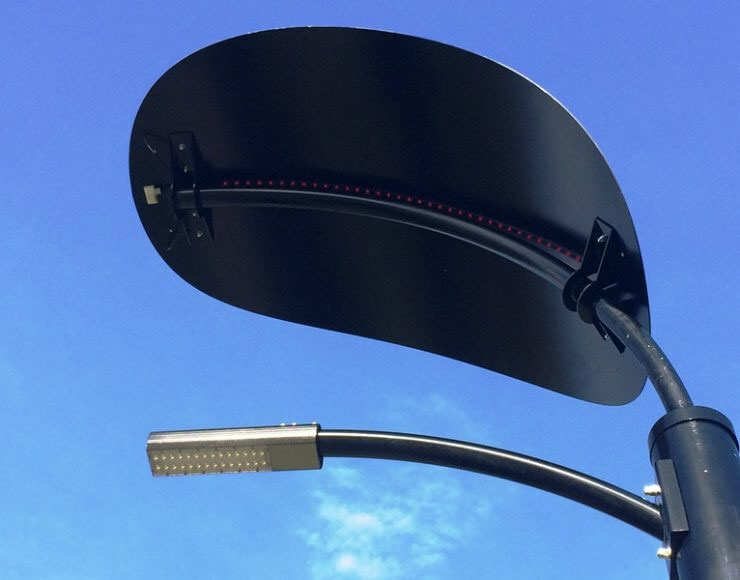 Such improvements over existing street lights will be achieved through introduction of innovative cloud-based software and wireless communication technology. 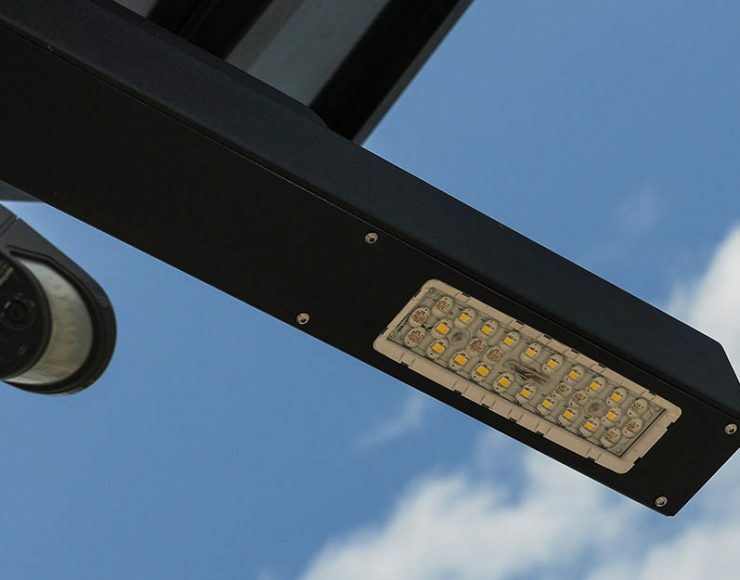 A dedicated Remote Management System will enable users such as city infrastructure operators to monitor and control each street light unit in real-time via PC, smart phone or tablet. 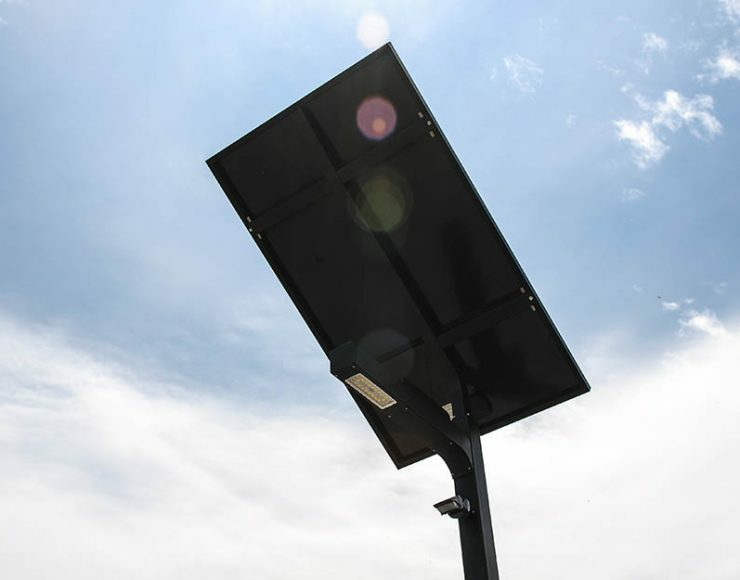 Weather predictability algorithms incorporated in the software will help users to optimize the solar off-grid system and conserve energy so that bad weather and low energy periods could not affect solar LED light performance. 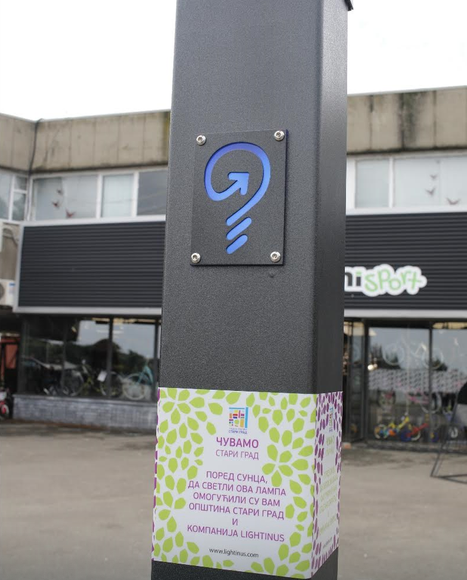 The launch of the Lightinus smart solar street light also marks the beginning of a new Smart City Initiative that will be jointly implemented by the Municipality of Stari Grad, Volta Technology and the business start-up incubator Impact Hub Belgrade. 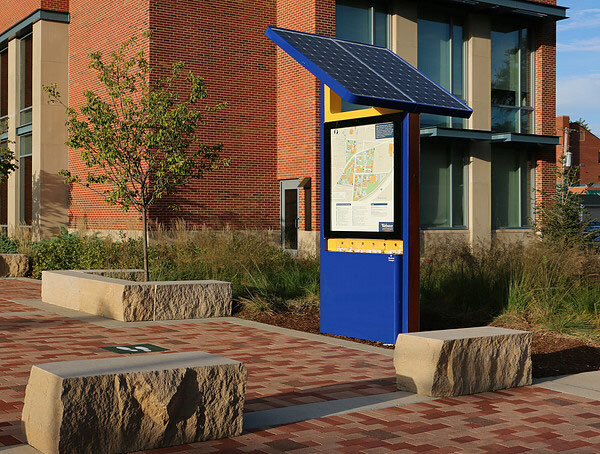 The goal of this initiative is to jump-start local green energy projects that will solve key public service and infrastructure issues by driving sustainable growth and improving energy efficiency. 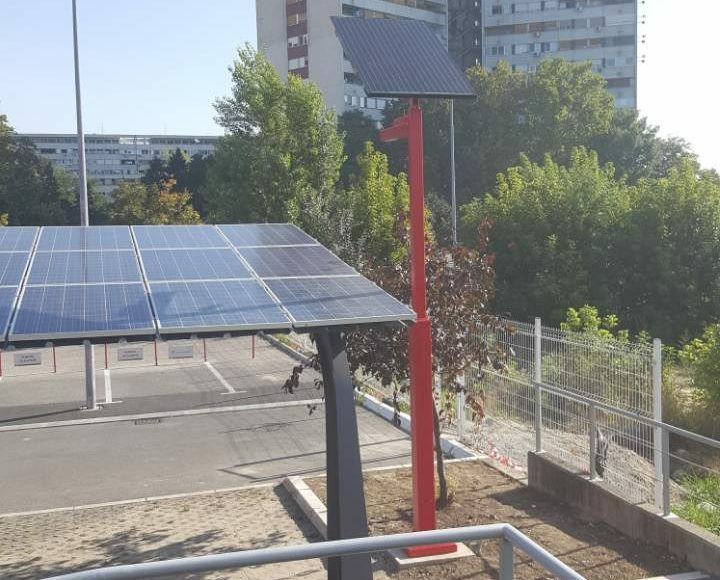 “We want to keep pace with the global developments in renewable energy and smart technology in order to provide reliable and efficient public services,” stated Marko Bastać, the President of the Municipality of Stari Grad. 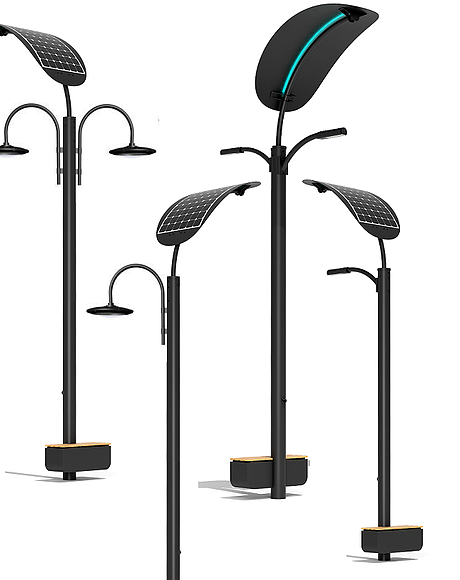 He also added: “This project is just the first step towards implementing technology driven street lights that are powered by clean energy. 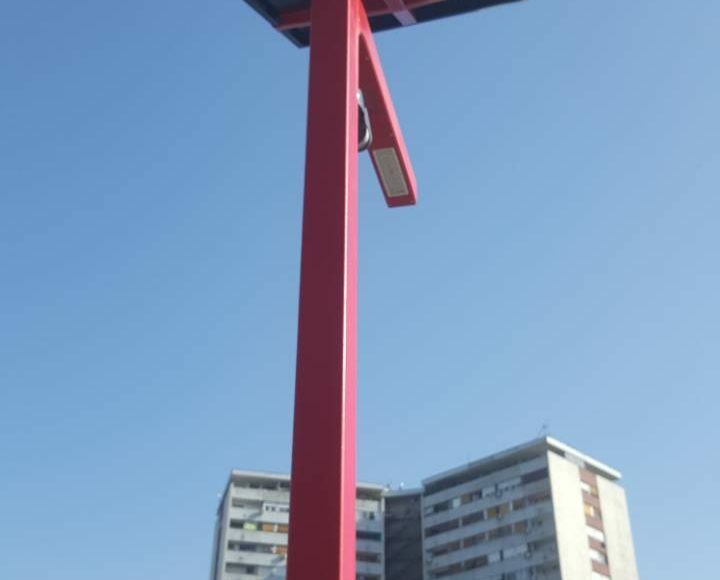 The installation of the Lightinus smart solar street light facilitates the way forward to introducing many other novelties across our Municipality that will help us improve the quality of life for citizens and solve public infrastructure problems in terms of energy efficiency, mobility and lighting. 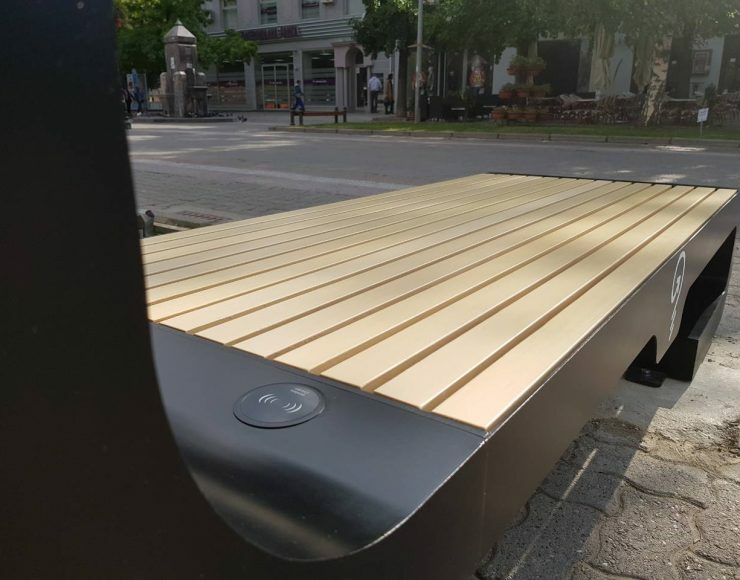 The new Smart City Initiative will bring together both public and private sector stakeholders with industry know-how and technical expertise that will improve our sustainability in the future." 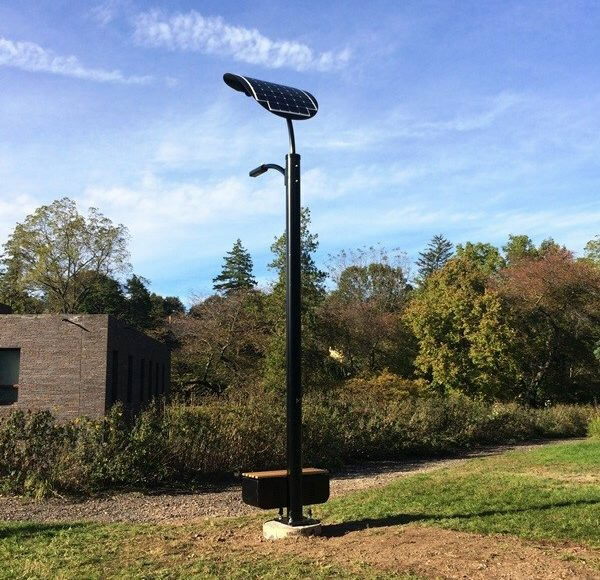 We developed and delivered solar street light units to a US partner company for another renewable energy project in 2016. 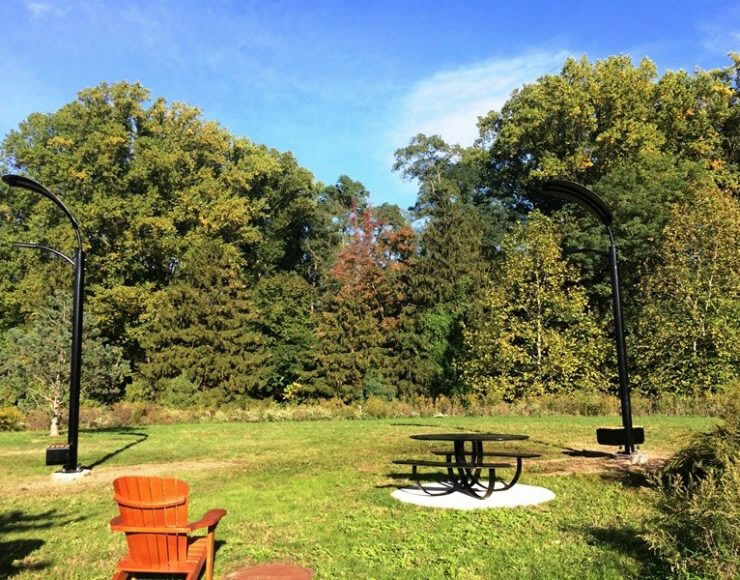 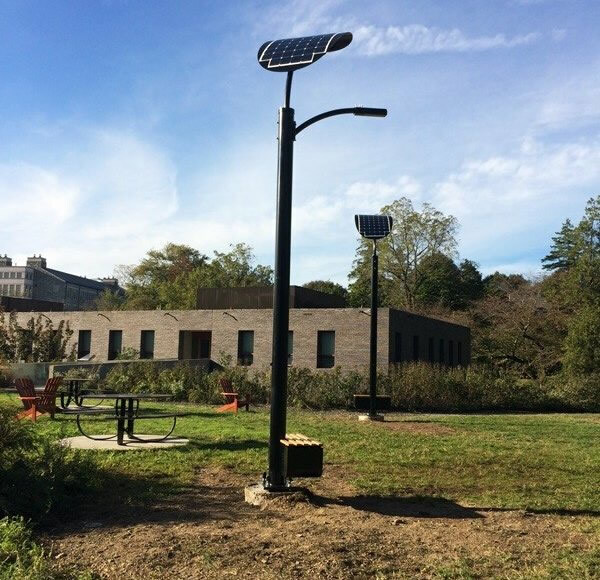 Haverford University in Philadelphia installed our solar street lights on their campus premises. 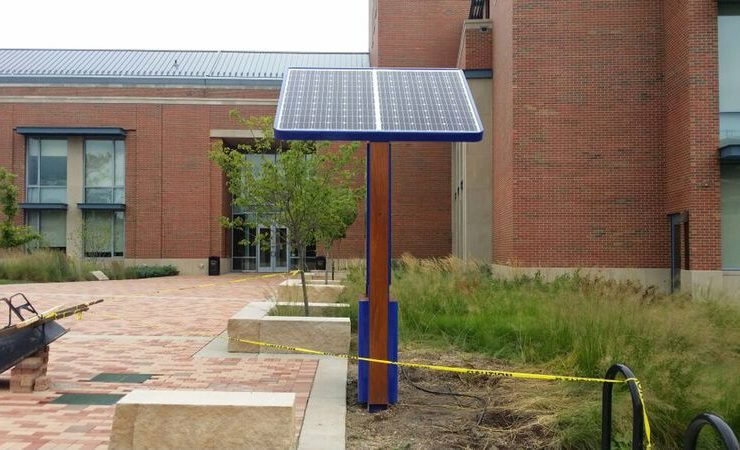 Their students are now able to charge their smart devices while the University benefits from the latest LED light technology powered by solar panels. 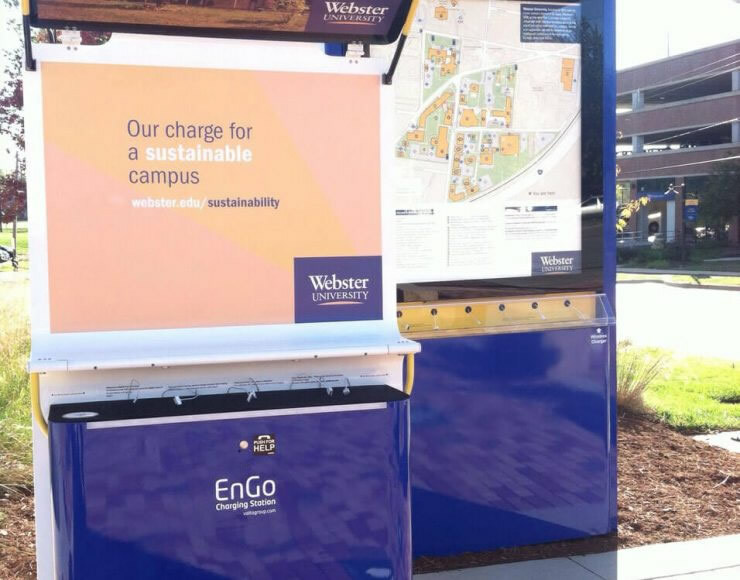 Our dedicated off-the-grid system will reduce the University’s long-term operational cost and energy bills. 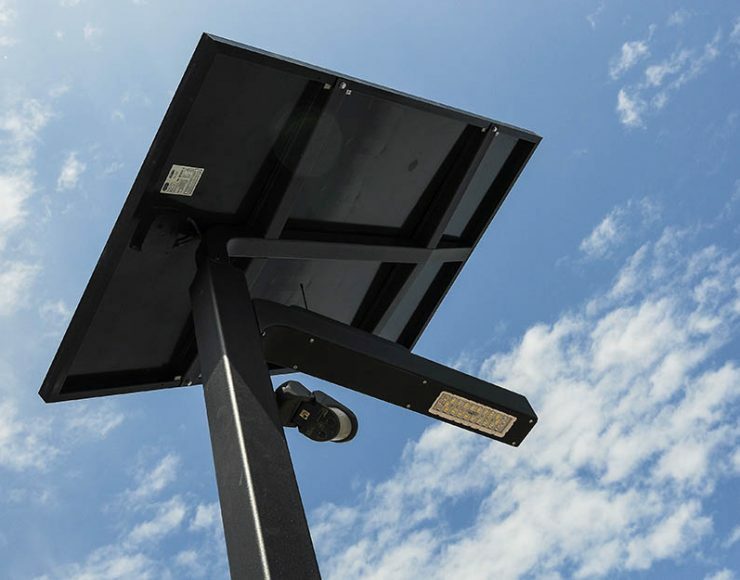 Middle East is one of our primary target regions for implementing off-the-grid LED street lights. 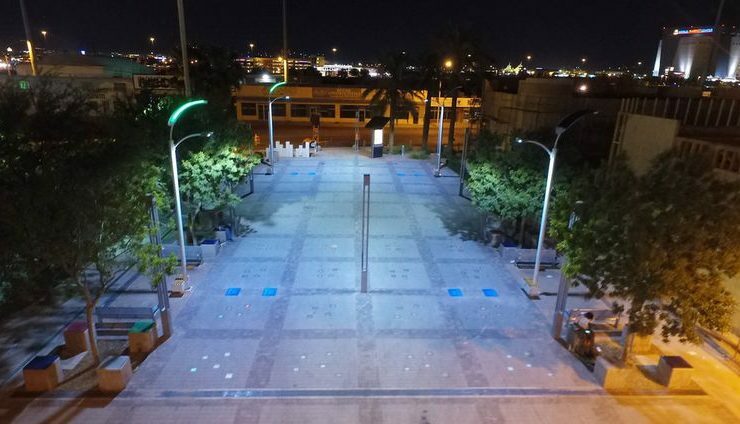 In 2016, we produced several solar LED street lights for a US partner company that cooperated with a specialized consulting company in the city of Muscat. 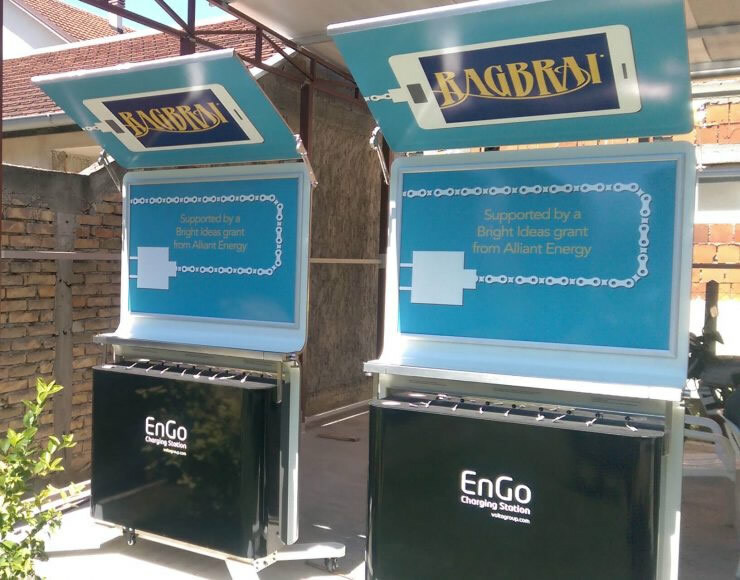 Our goal is to provide off-the-grid lighting solutions combined with smart technology that will not only drive sustainable growth in Middle East countries, but it will also decrease installation costs and improve maintenance in the long run, which is especially suitable for achieving high cost effectiveness in remote locations. 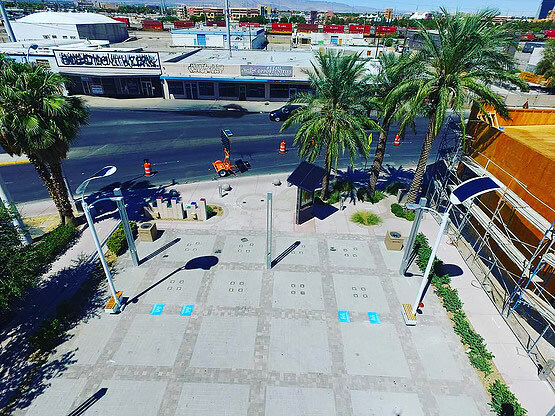 We manufactured and delivered solar and kinetic street lights to a US partner company which cooperated with the city of Las Vegas for implementation of a pilot project at Boulder Plaza. 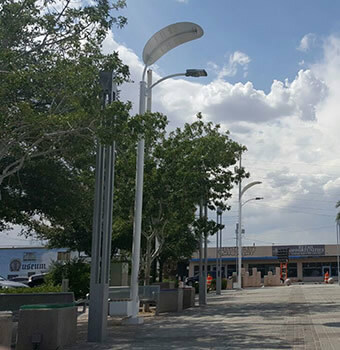 “The city of Las Vegas is a leader in sustainability, from our commitment to renewable energy to recycling, our alternative-fuel vehicles and streetlights,” said Mayor Carolyn G., further adding: “We are always interested in exploring new technologies that can help us to preserve our city for future generations.” In August 2016, we successfully completed this pilot project by delivering several units of solar and kinetic LED street lights that utilize renewable energy, provide charging services, Wi-Fi hotspot and software for remote management control and monitoring. 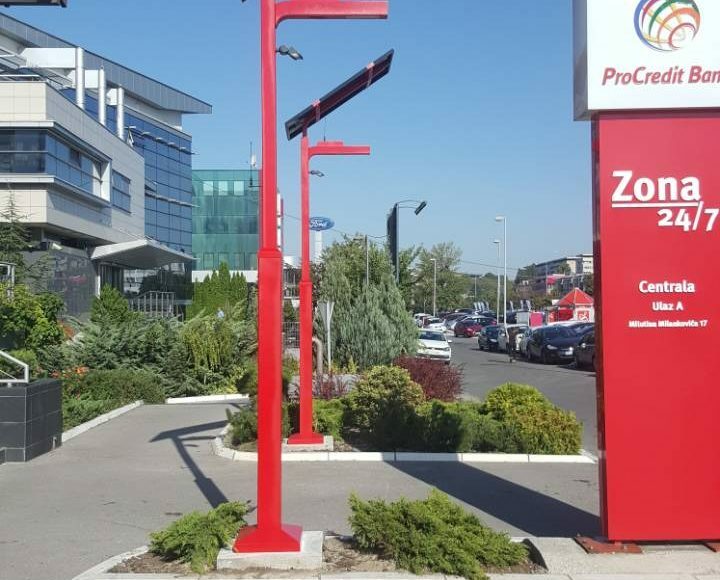 We designed and installed 3 Smart Solar On-Grid Street Lights for ProCredit Bank, a very successful international company in the financial industry. 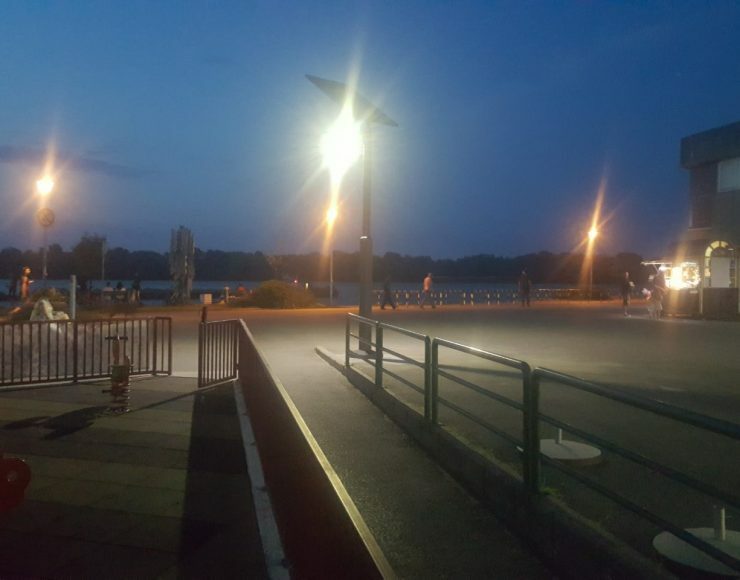 They decided to completely replace their old traditional outdoor lights with modern, functional and smart street lights powered by solar energy. 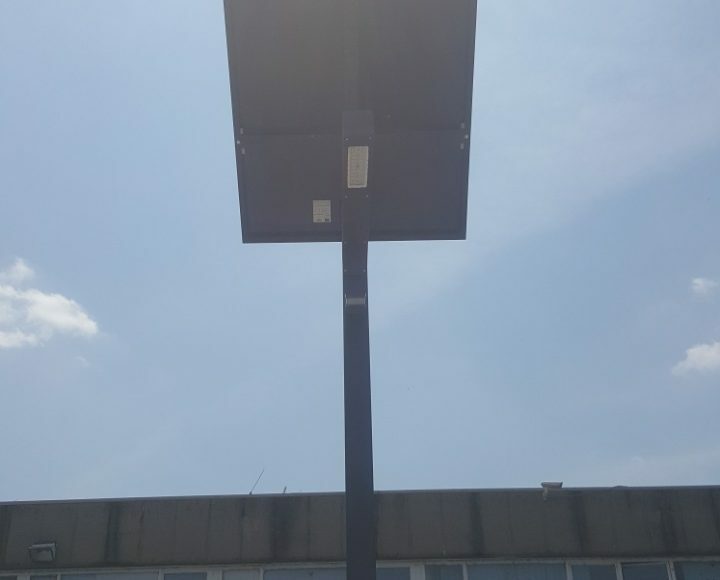 Our state-of-the-art solar street lights solved the company's problem. 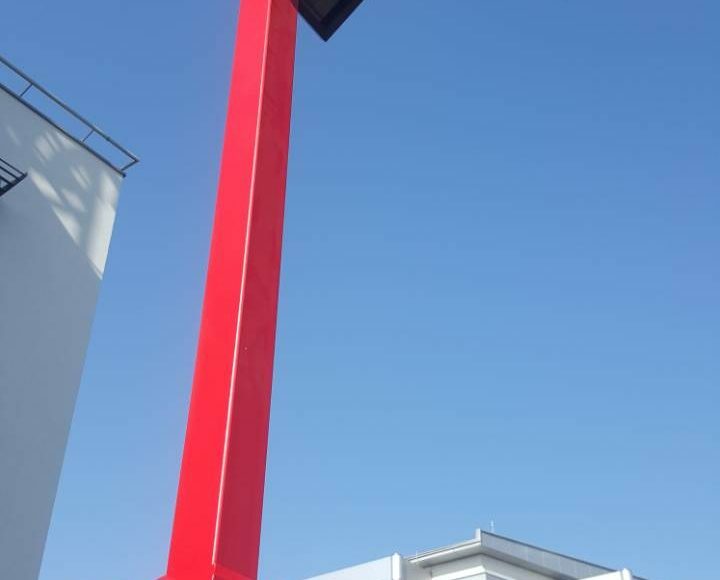 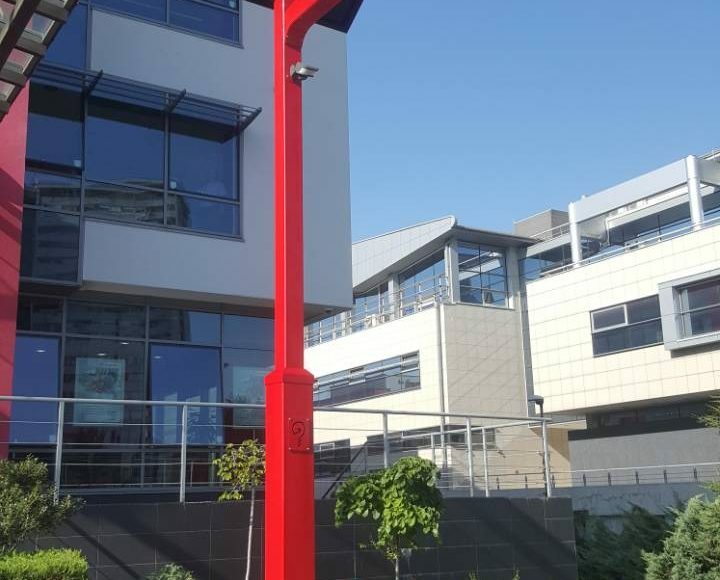 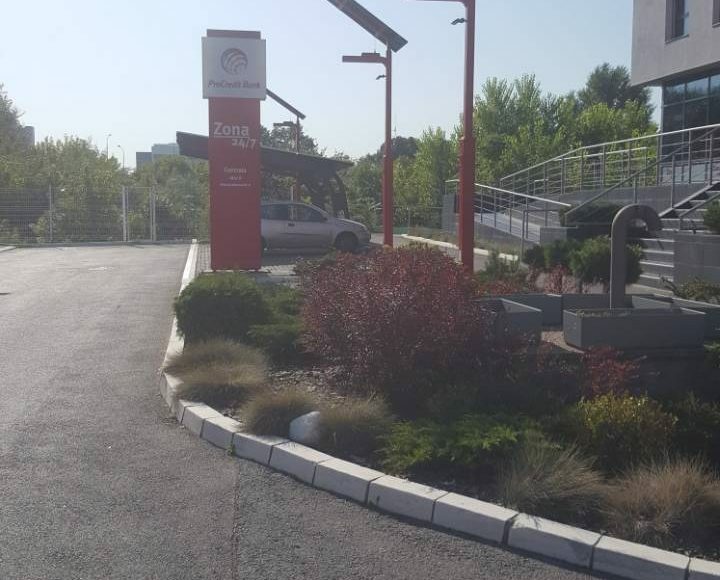 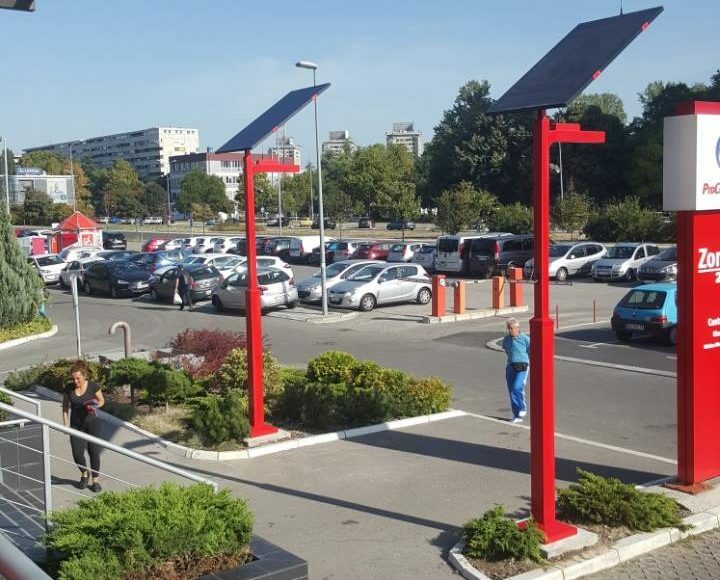 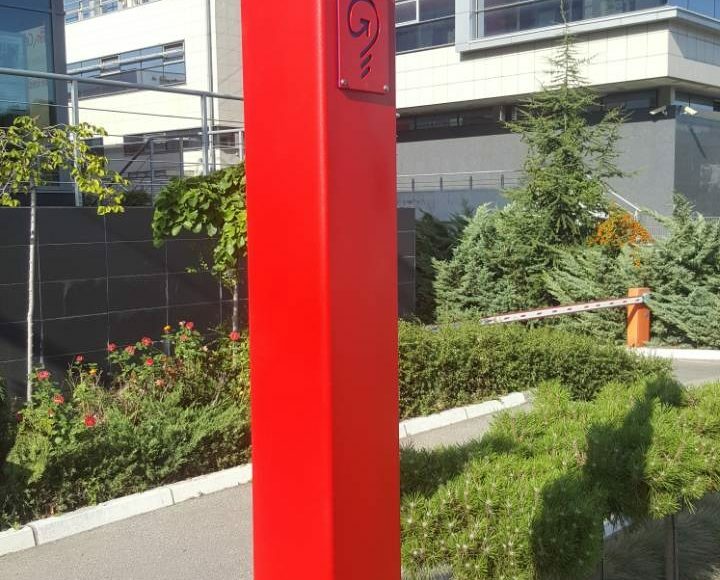 With poles covered in red color matching their logo and fully controlled in real-time by our remote management software, the Lightinus smart solar street lights are now attractive gatekeepers for ProCredit Bank. 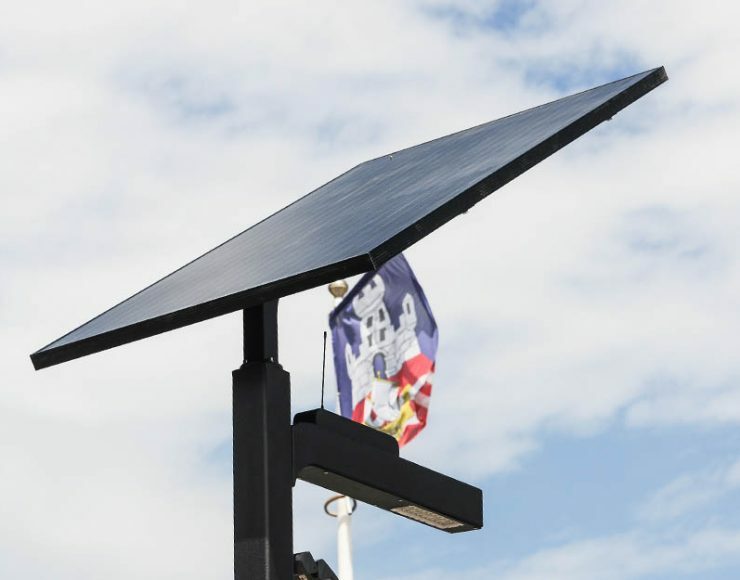 The lighting system works on solar energy, but it also has a back up grid power that will switch on in case of energy depletion in the solar battery system. 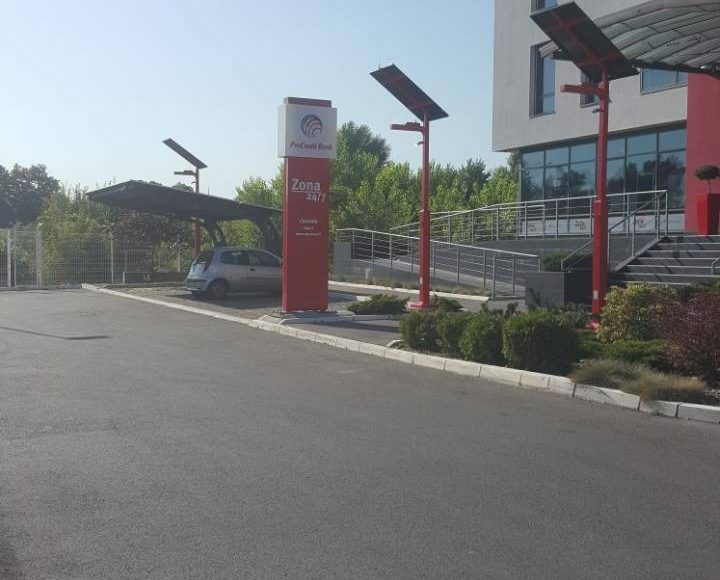 With the new Lightinus solar lights ProCredit Bank can now enjoy LED illumination throughout the year and unique visual appeal for their clients entering the building. 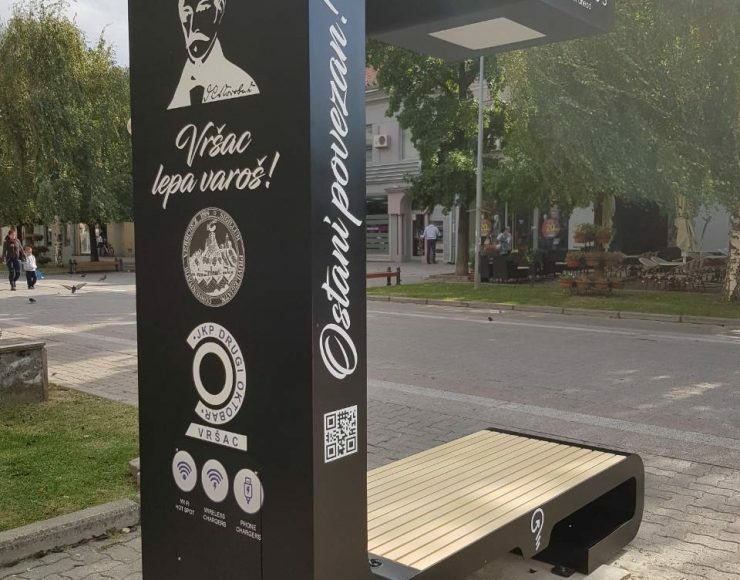 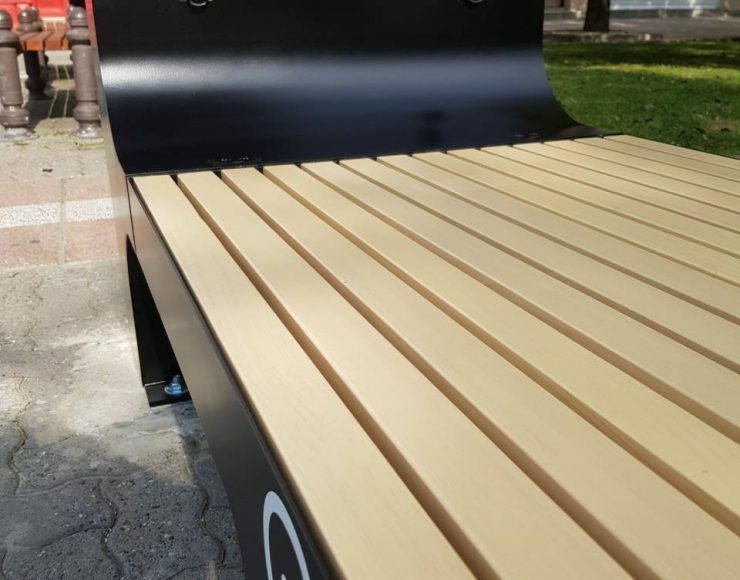 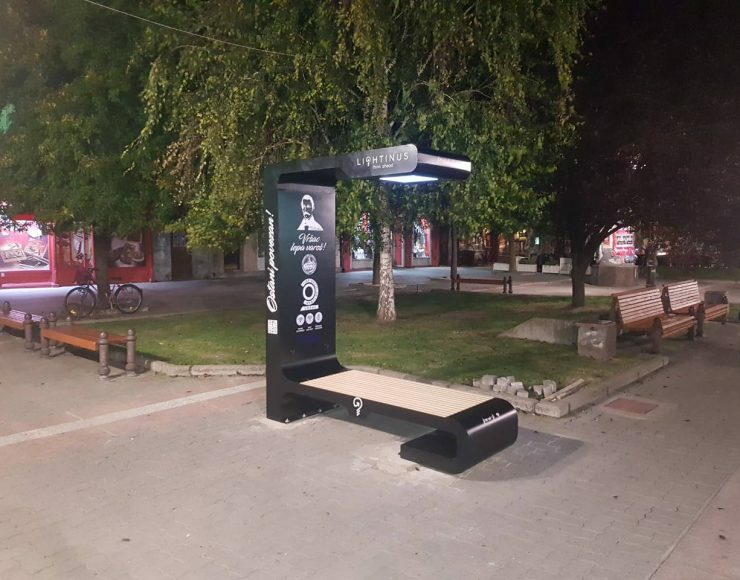 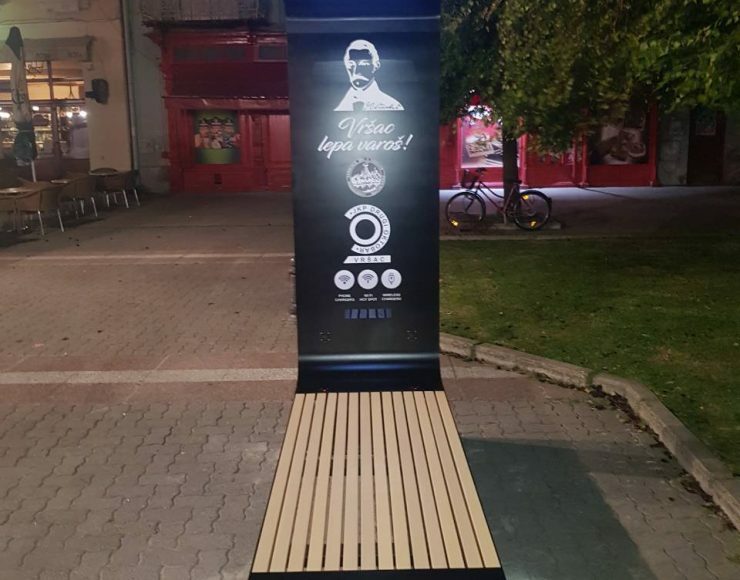 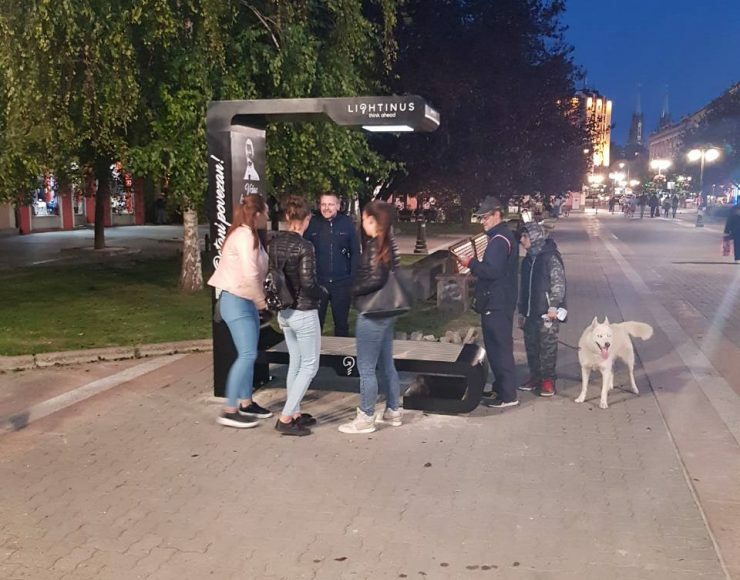 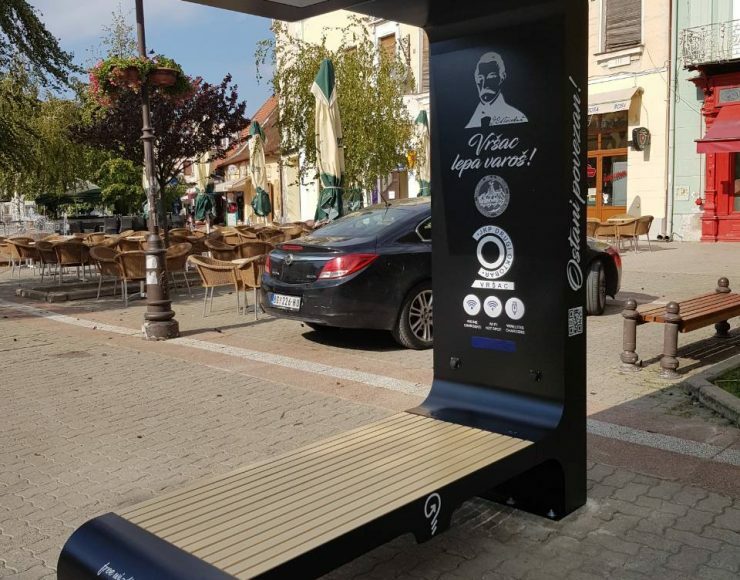 Together with the public utility company "Drugi Oktobar" we installed the first state-of-the-art Smart Solar Bench in the Municipality of Vrsac. 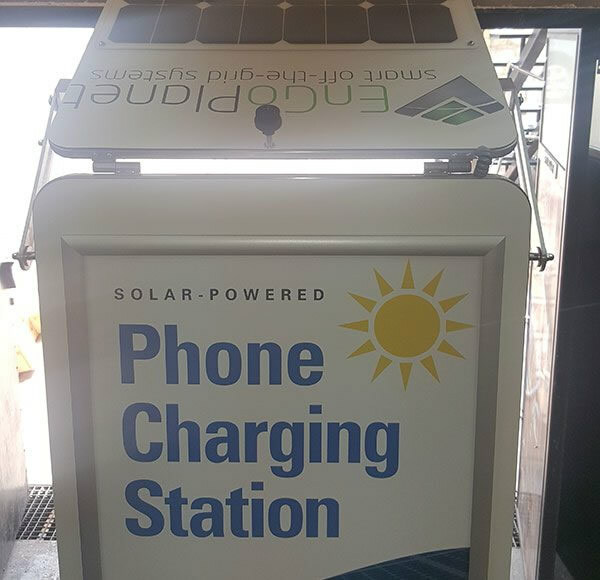 Citizens will now have the opportunity to enjoy free public services such as access to a Wi-Fi zone, charging of smart devices and LED ambient lighting, all of which are powered by solar energy. 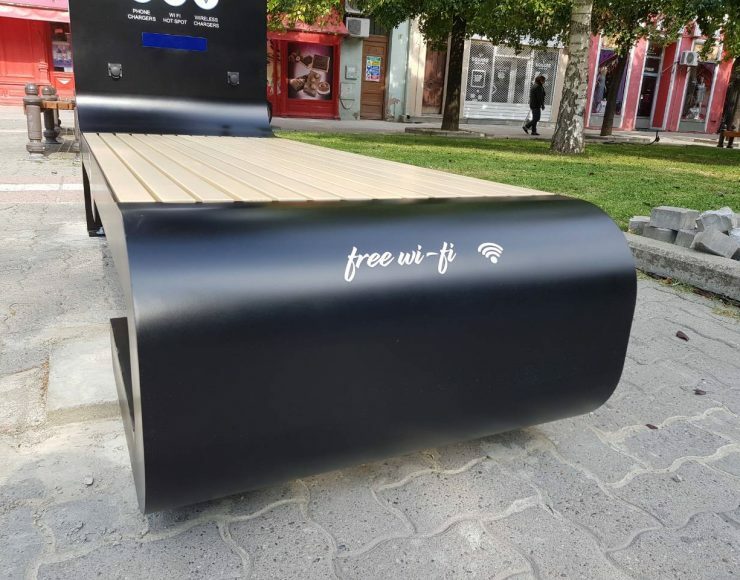 We all need a tech-friendly place to relax and interact right? 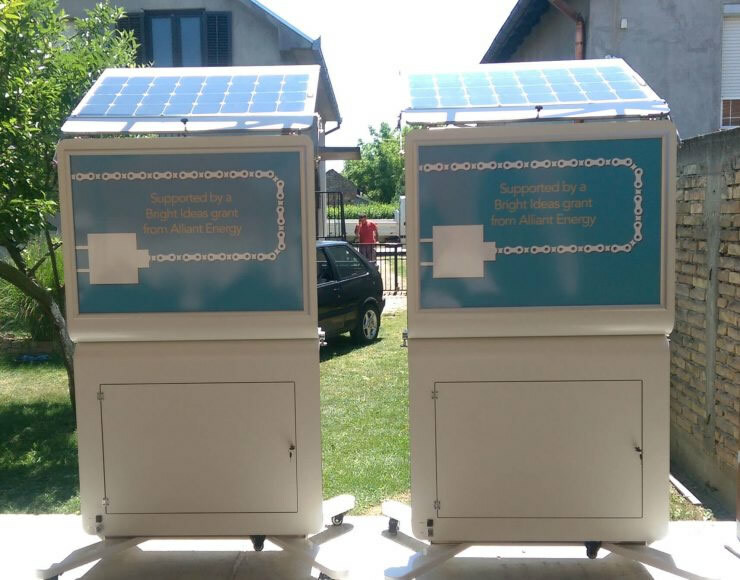 The Municipality of Vrsac is now on its way to creating sustainable clean energy infrastructure for its citizens. 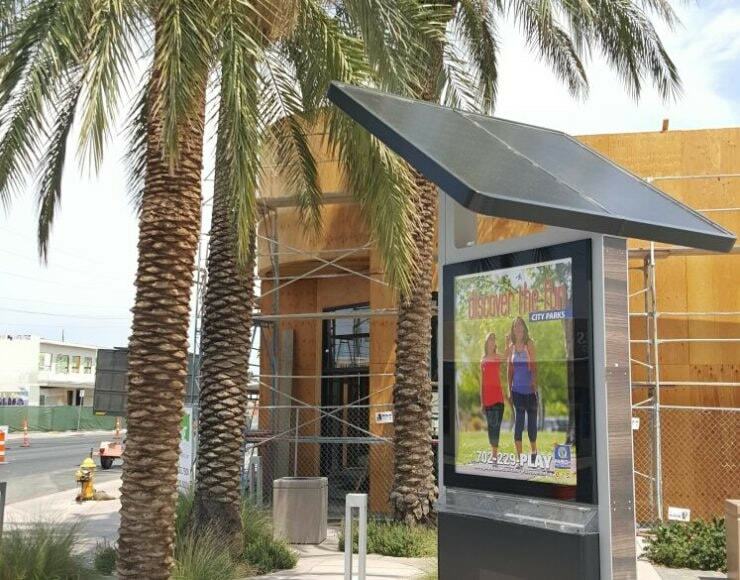 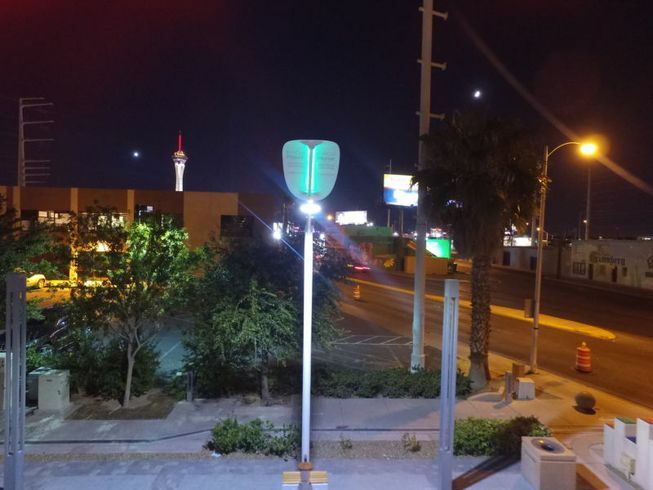 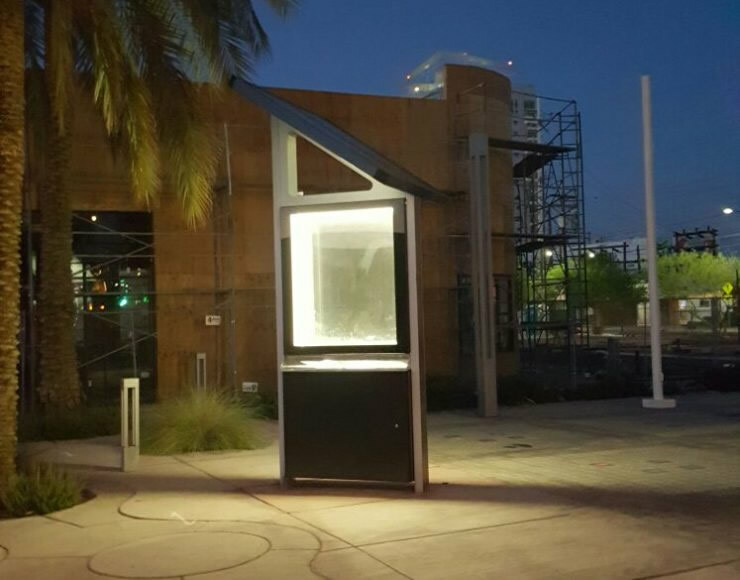 Installed next to our smart street lights, the CityHub station in Las Vegas was a valuable addition to our renewable energy project. 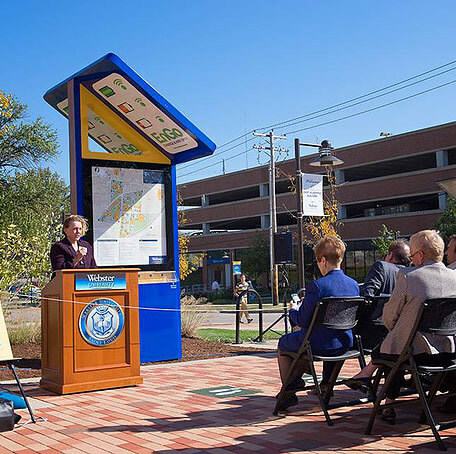 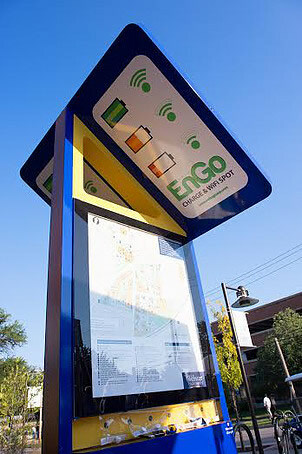 Powered by solar energy, CityHub adds value to the city’s sustainability goals and public services by providing free energy to pedestrians through charging services, Wi-Fi and integrated SOS communication feature while enabling the city to use the station as advertising platform for faster ROI. 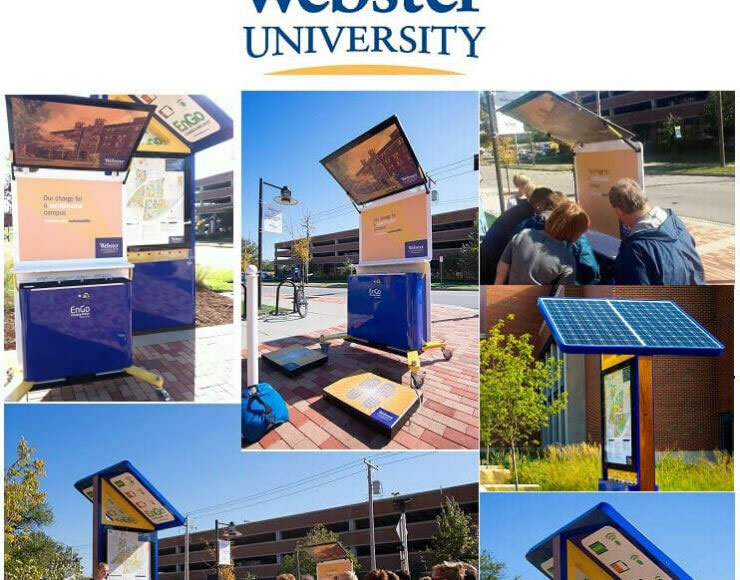 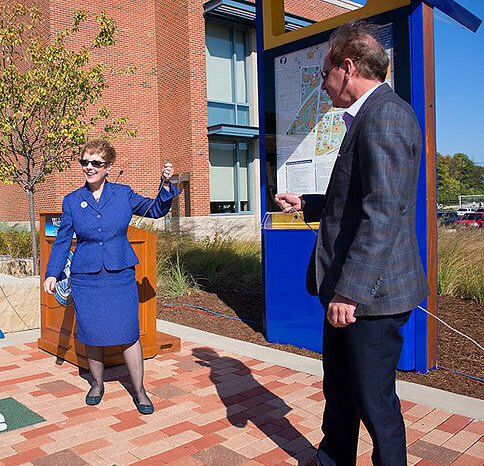 Webster University was our first client back in 2014. 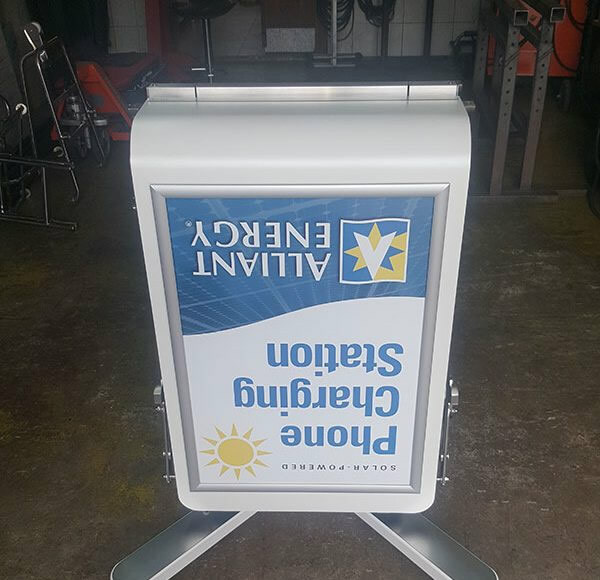 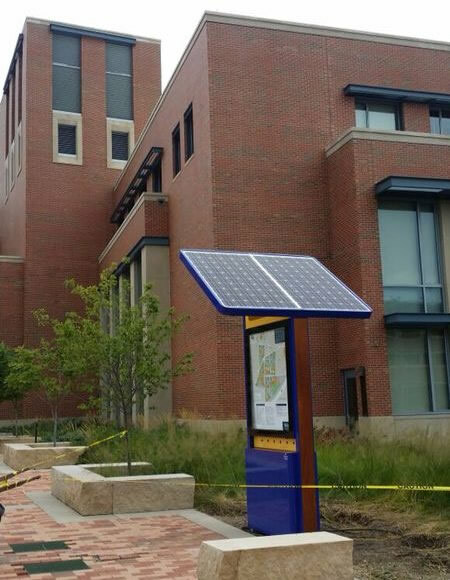 We successfully installed the CityHub station on a central location in their campus to provide renewable energy services to staff and students. 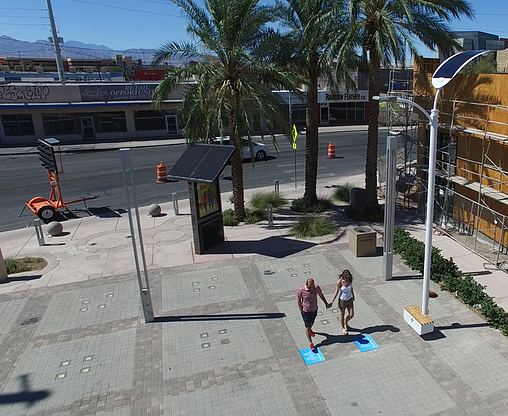 Students make valuable contributions to clean energy power for CityHub every day by walking over the kinetic tiles installed near the station. 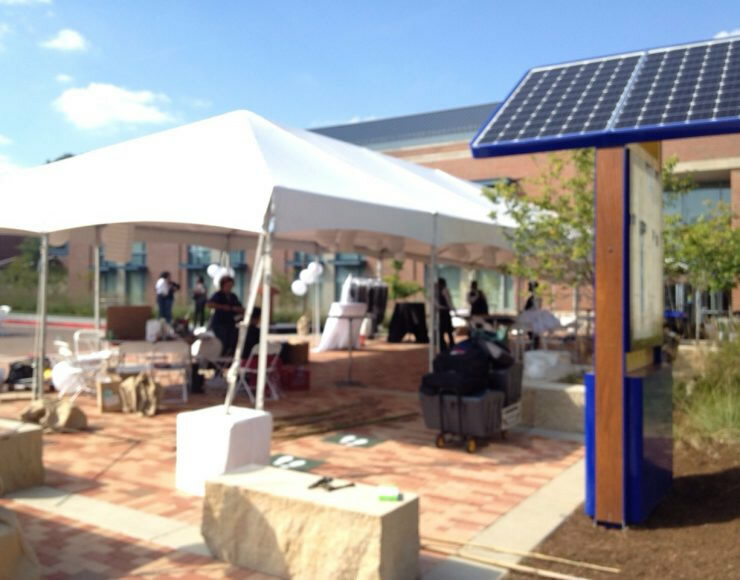 We are proud to work with educational institutions that promote sustainability through green energy utilization. 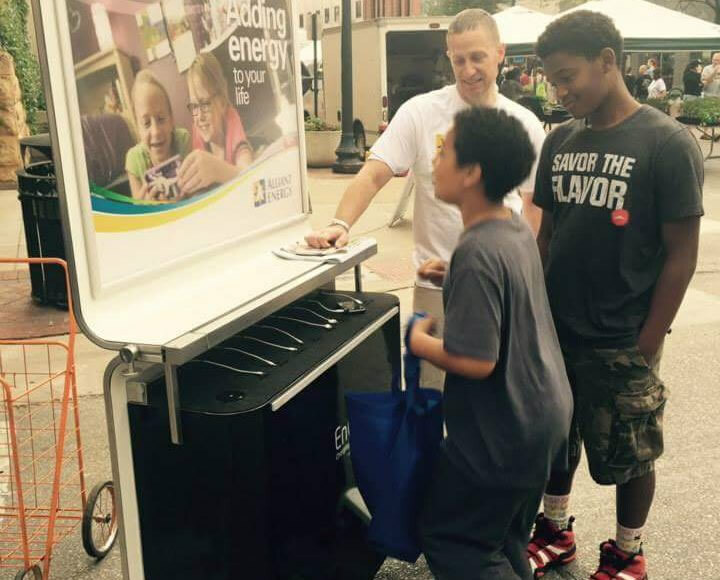 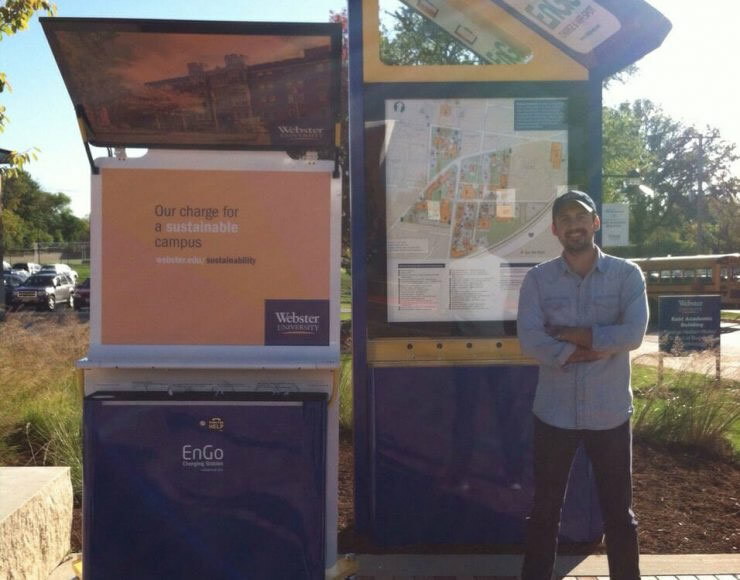 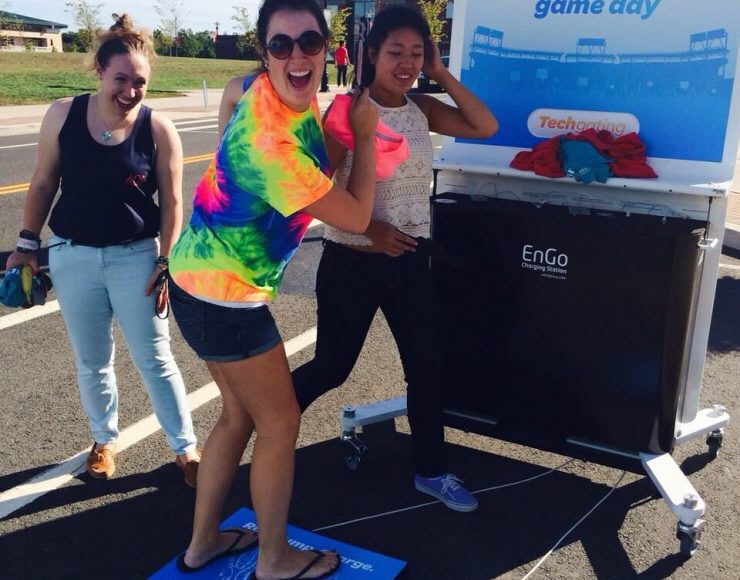 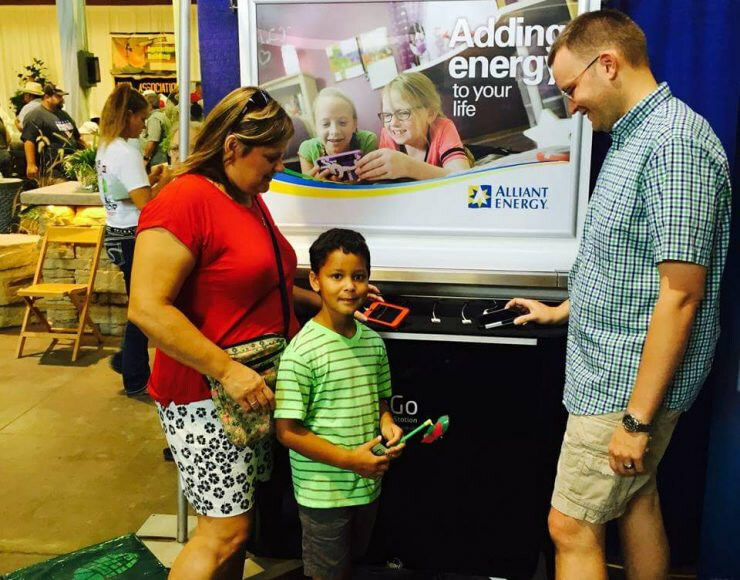 Alliant Energy used our Compact station to promote green energy values through branding engagement campaign involving the young population and their parents. 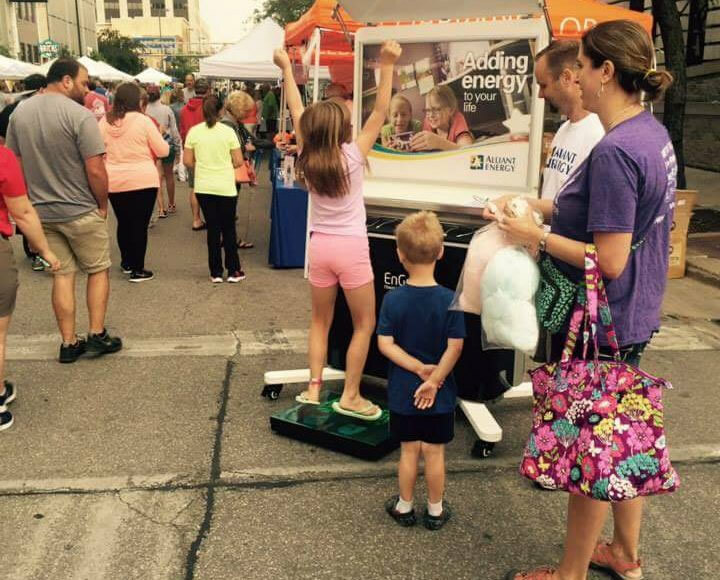 Children were exposed to renewable energy activities, such as free charging of smart devices and kinetic energy generation with footsteps. 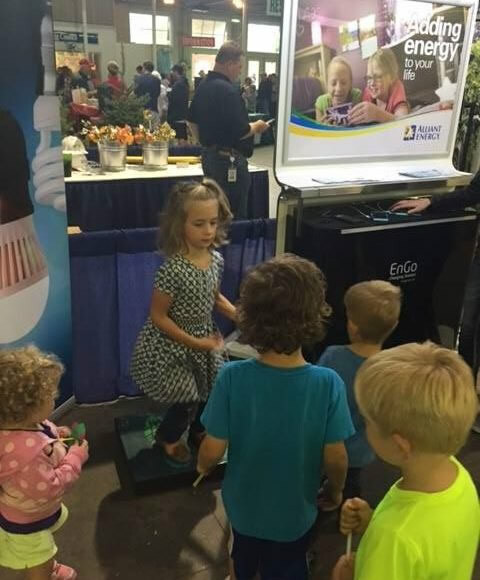 All visitors received valuable educational information through these interesting attention getting activities. 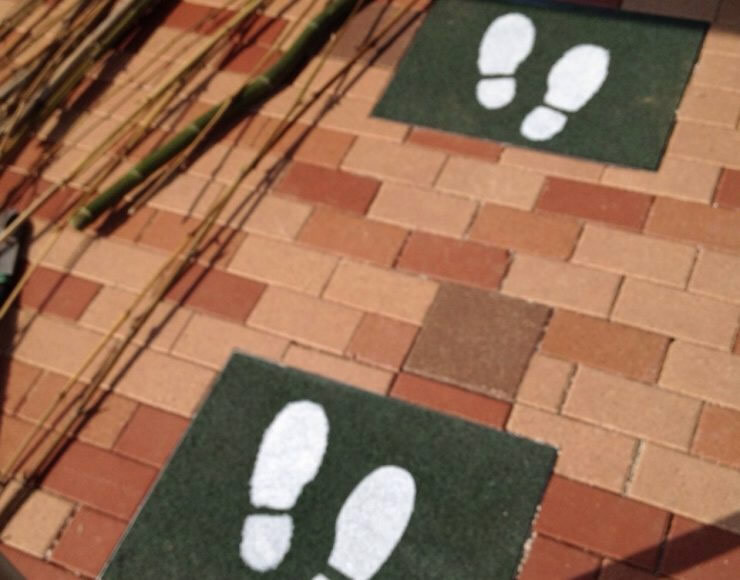 Creating green behavior is our primary objective with such projects. 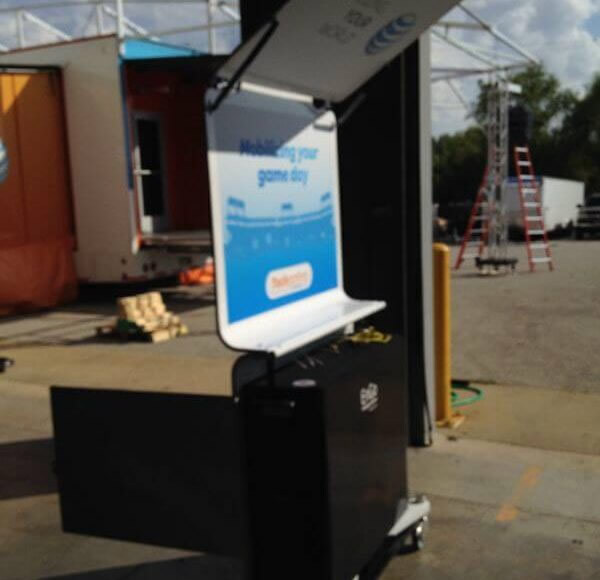 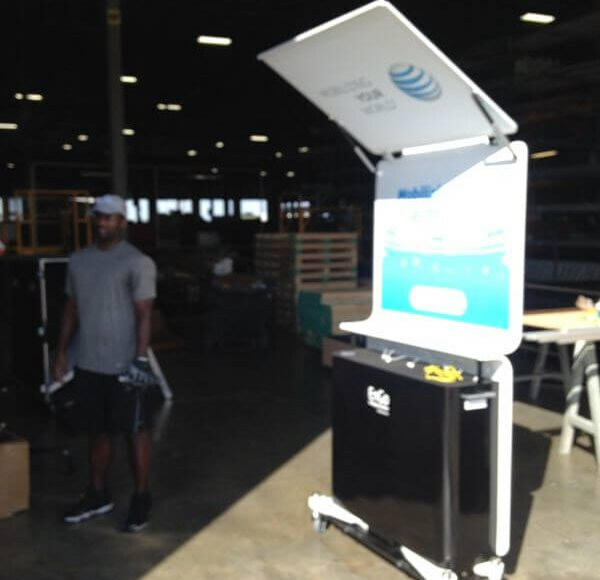 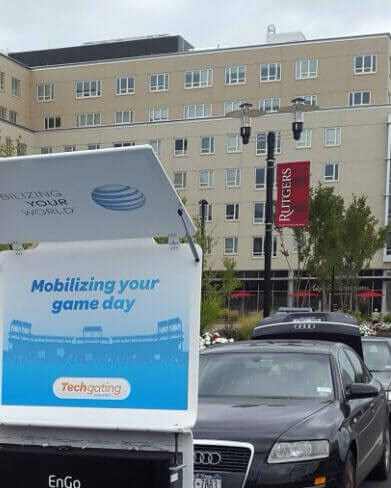 Another of our renewable energy projects provided support for the widespread educational campaign organized by AT&T throughout different regions in USA. 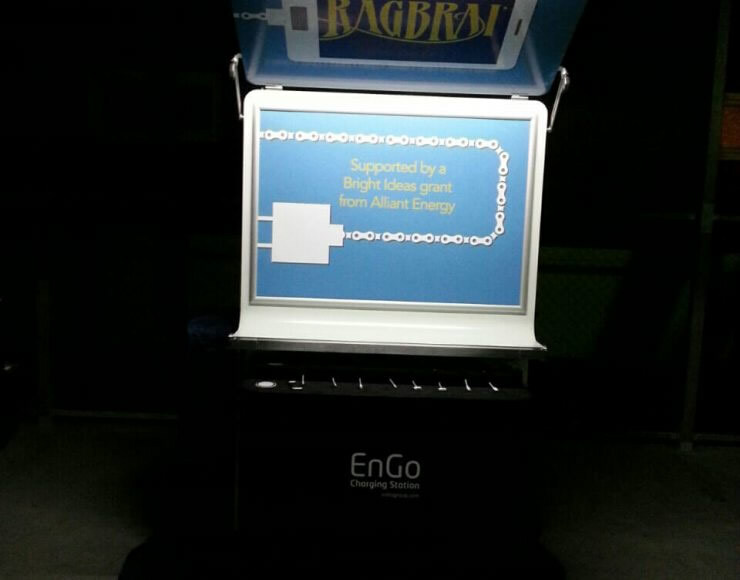 Our Compact station was the main driver of the company’s engagement activities with hundreds of people. 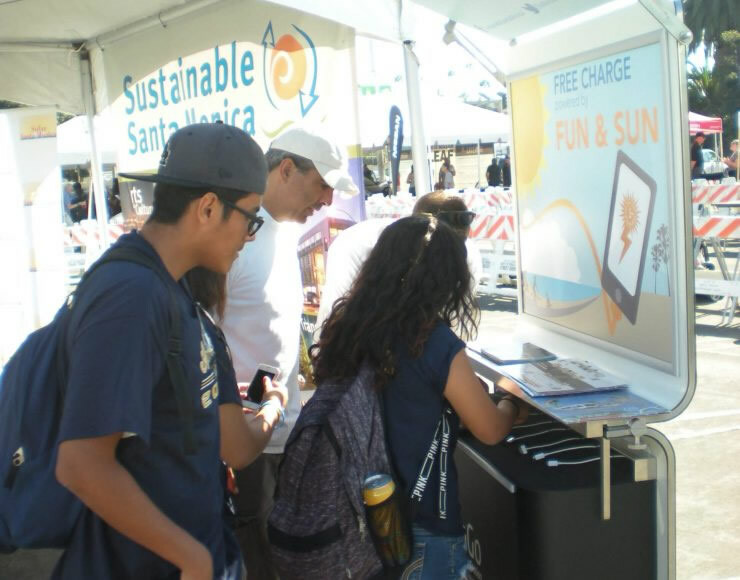 Compact contributed to high brand exposure and promotion of clean energy practices through free charging services and kinetic energy features for each visitor. 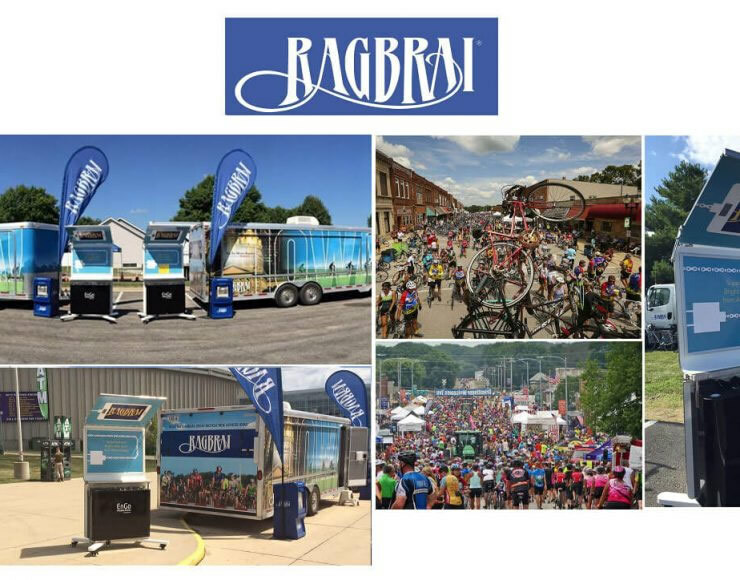 We supported a big bicycle race event organized by Rabgrai in USA. 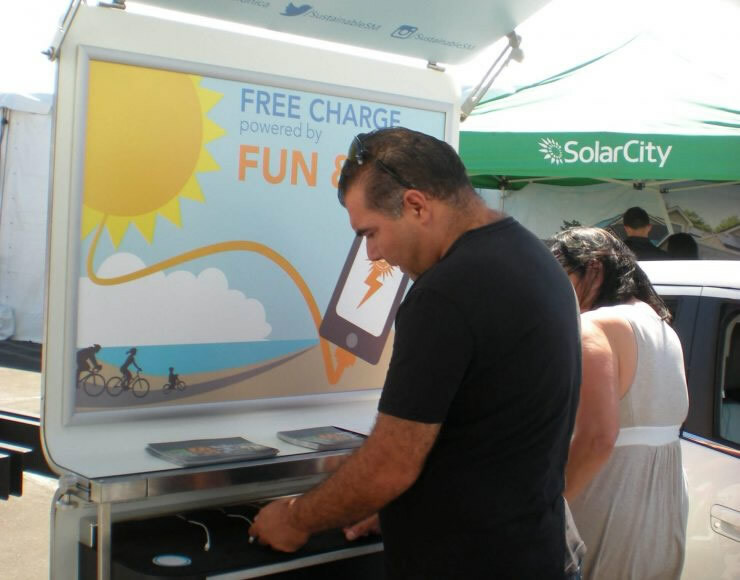 Our Compact station offered free charging services powered by clean energy to hundreds of visitors. 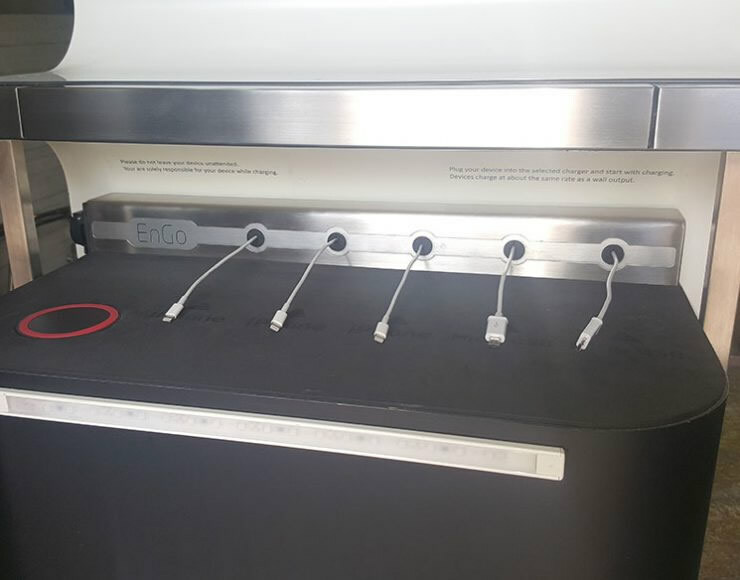 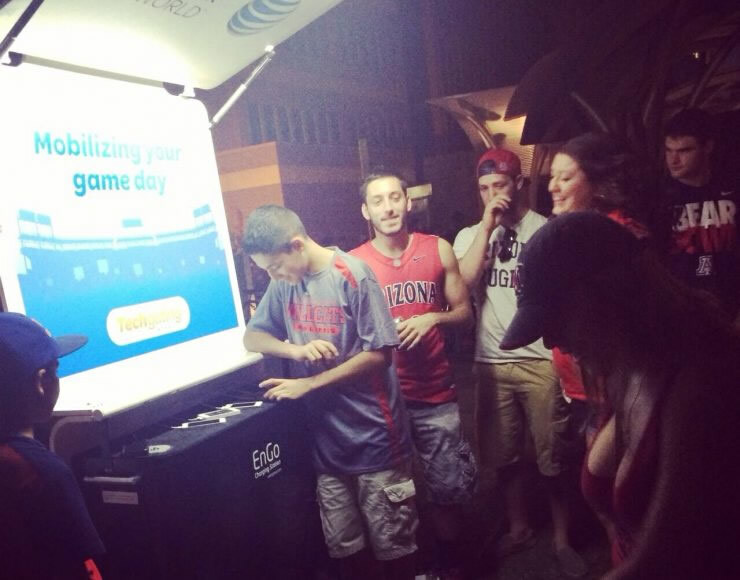 Compact’s mobility is very suitable for huge educational, promotional and sports occasions with the presence of many people who need free charging services for their phones and tablets. 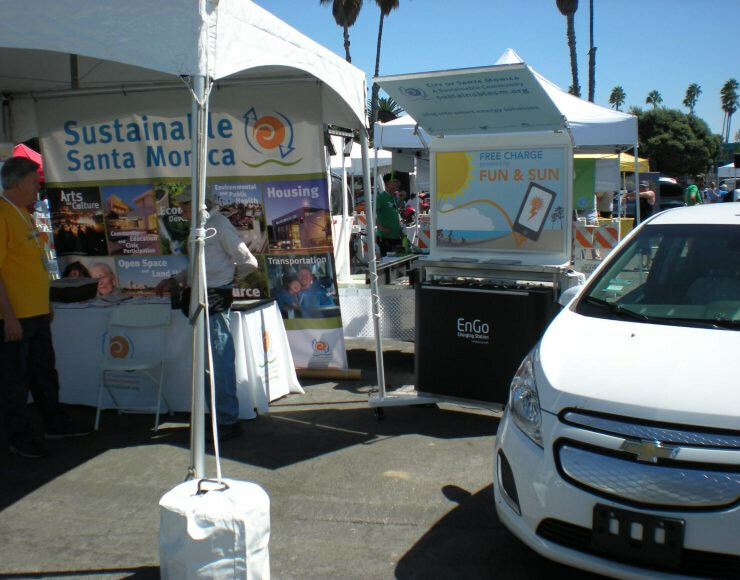 The city of Santa Monica organized renewable energy event as part of the project “A Sustainable Community”, which attracted many visitors from the area. 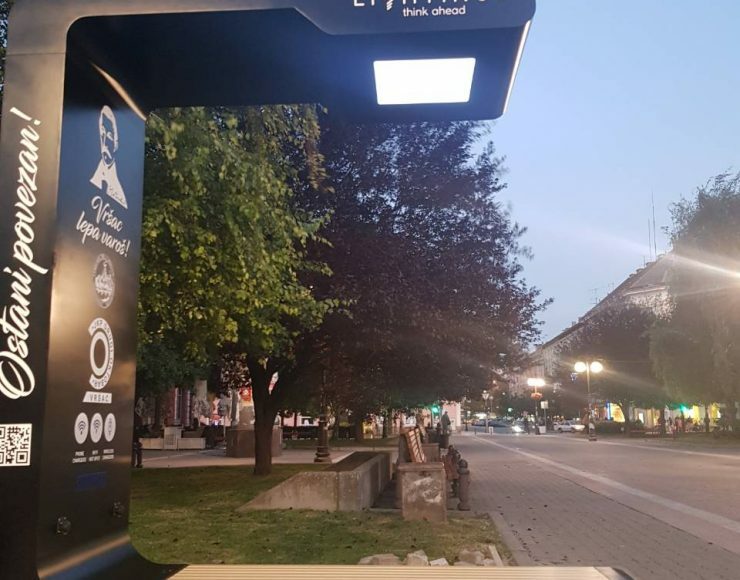 Our Compact station was fully branded with the city’s educational promo material and provided value added charging services for the event, contributing to raising awareness on green behavior. 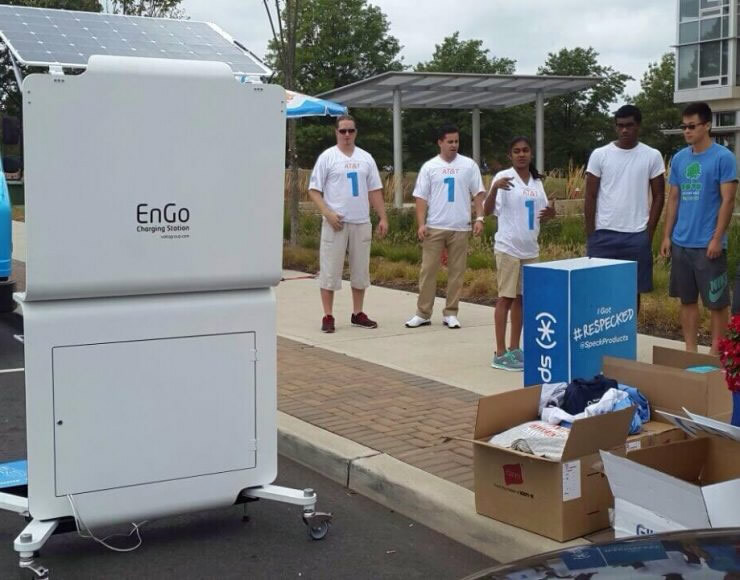 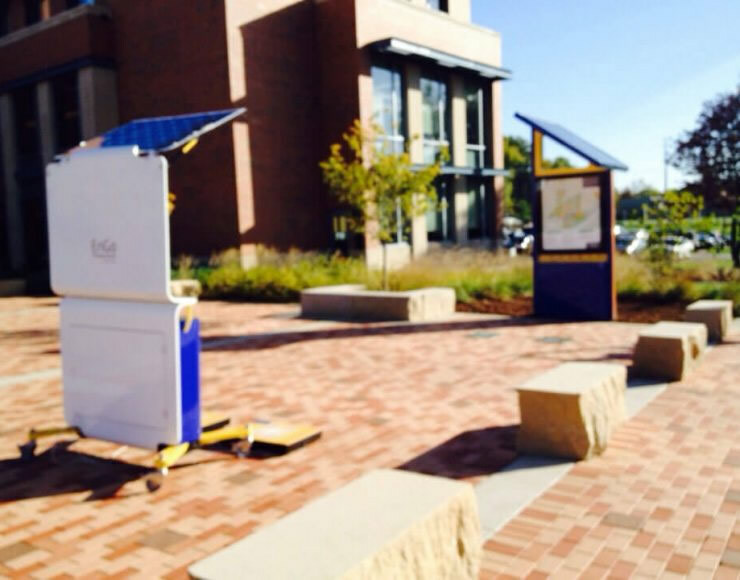 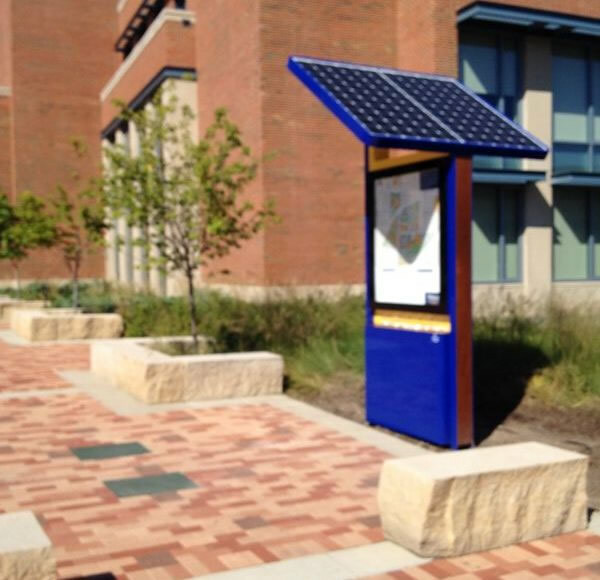 Together with the installation of our CityHub station on the University campus, we delivered our Compact station to provide additional value and exposure to this renewable energy project by engaging students and teachers through smart device charging services and interactive kinetic energy application. 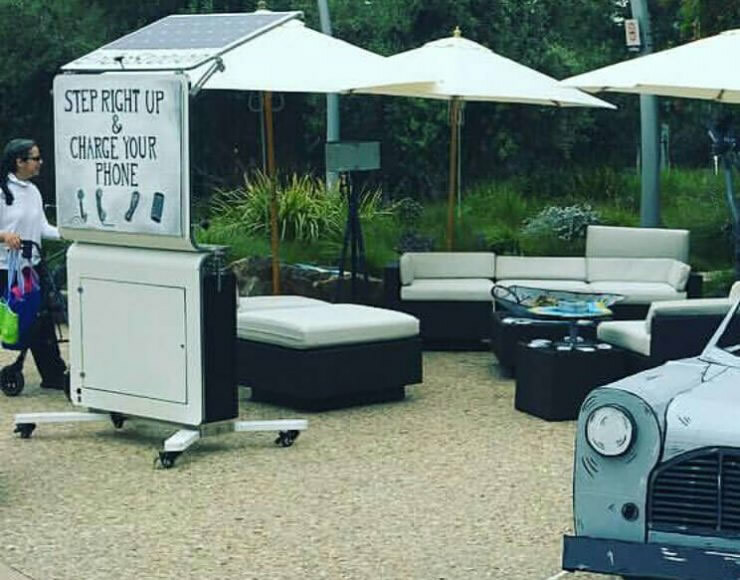 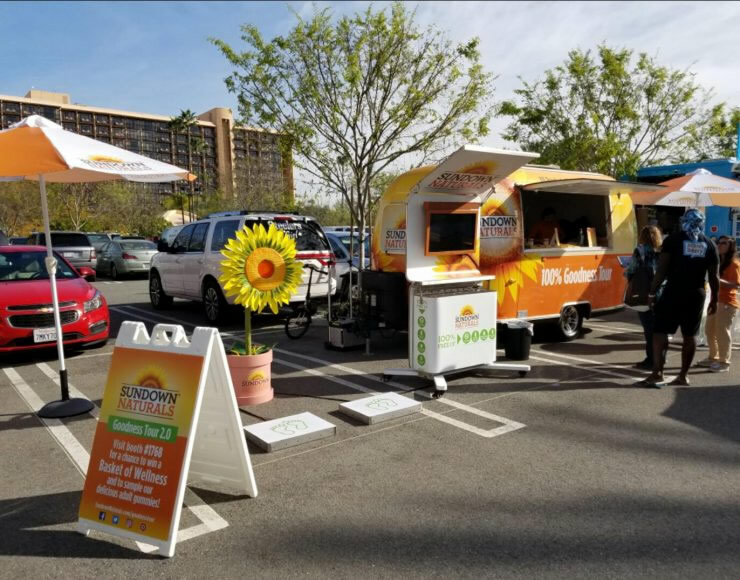 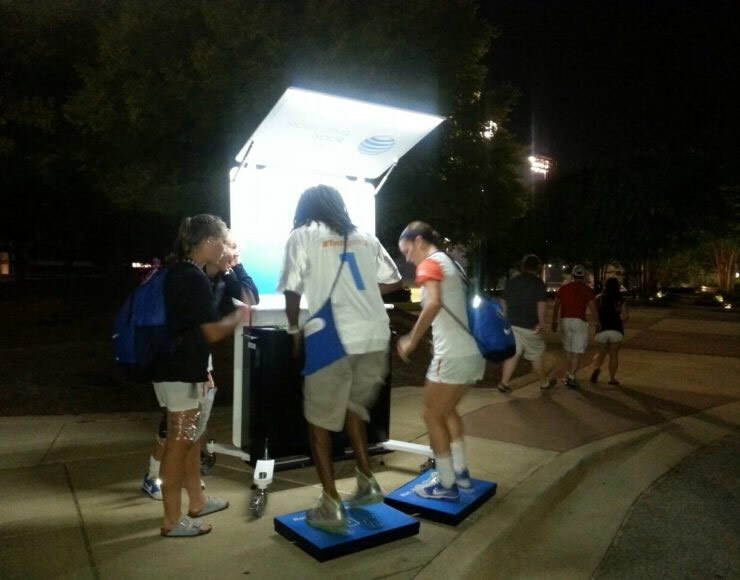 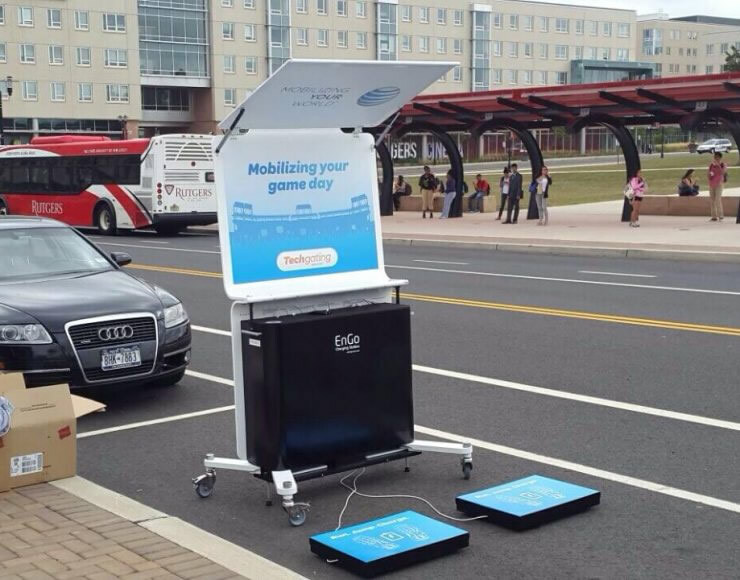 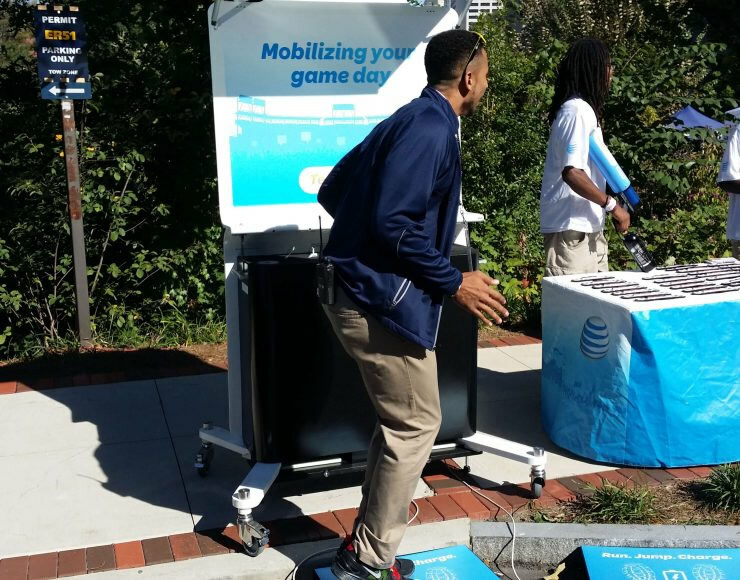 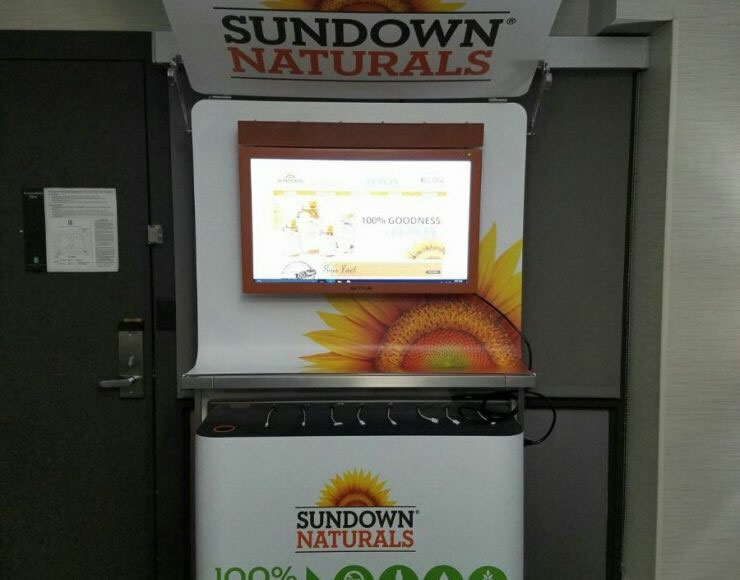 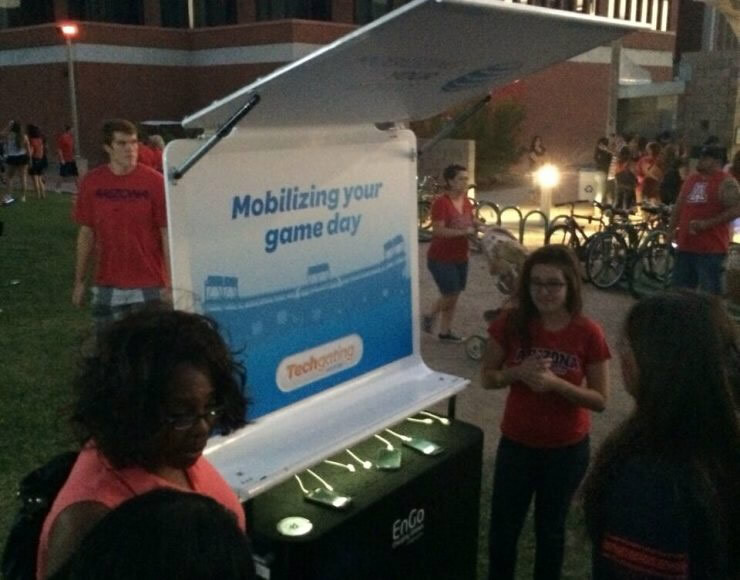 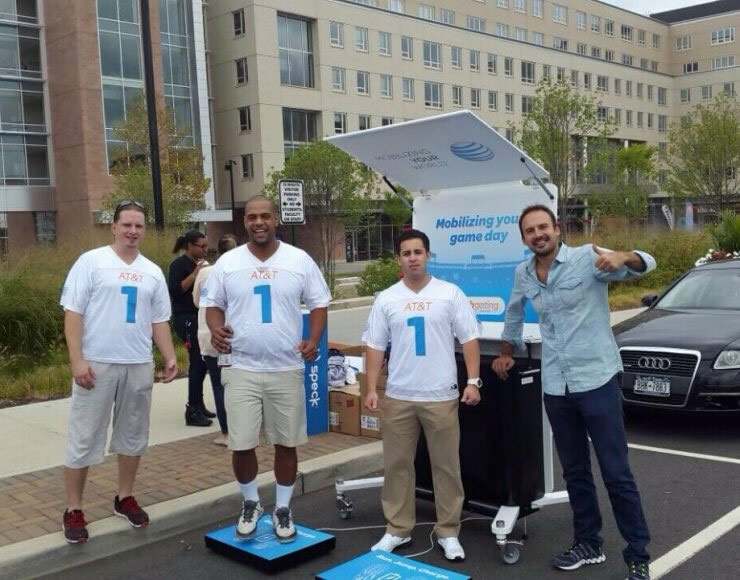 In 2017, Sundown Naturals - a US based healthy food company, benefited from our Compact Portable Charging Station as part of their promotional outdoor branding activities. 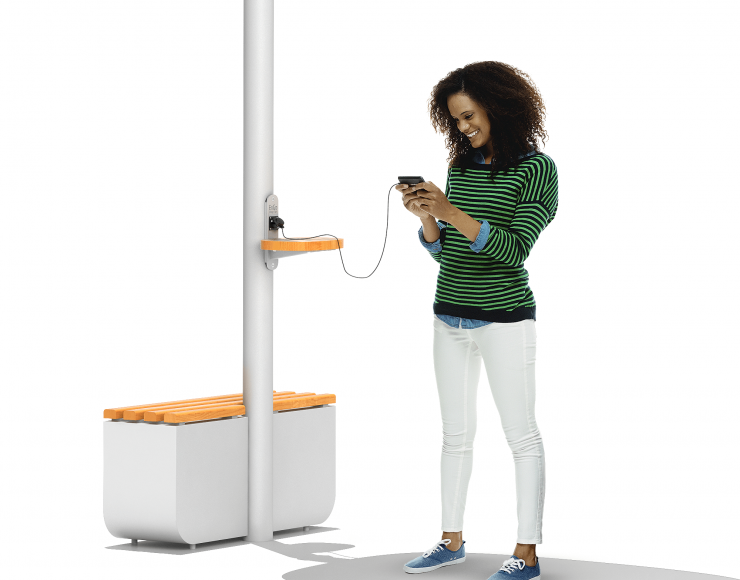 Compact provides an interesting platform for interactive consumer engagement through mobile charging services and kinetic energy generation applications. 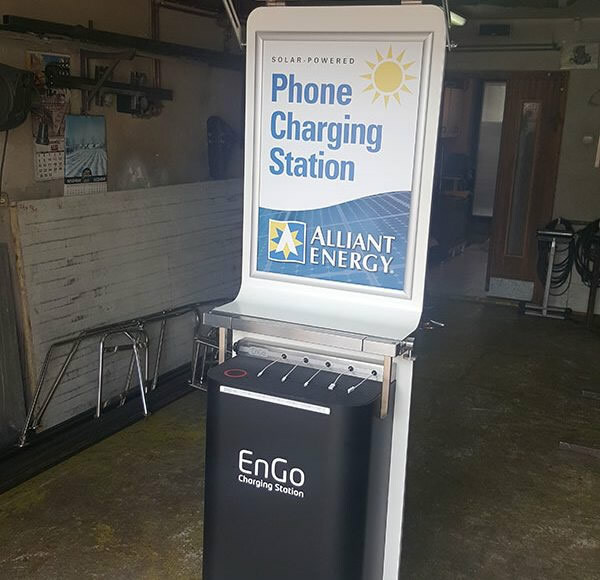 Alliant Energy benefited from adding our MiniCompact station to their educational campaign. 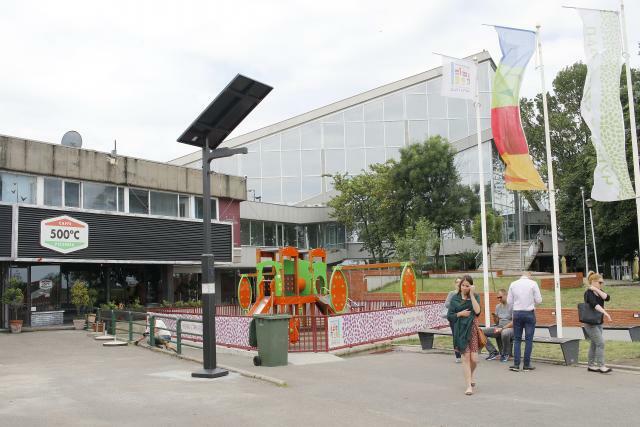 MiniCompact provided easier mobility to reach as many people as possible and further promote the green energy values of the campaign.